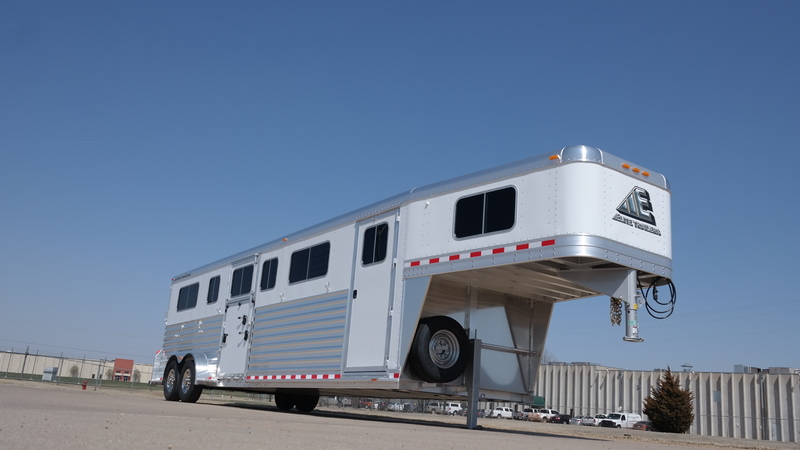 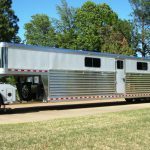 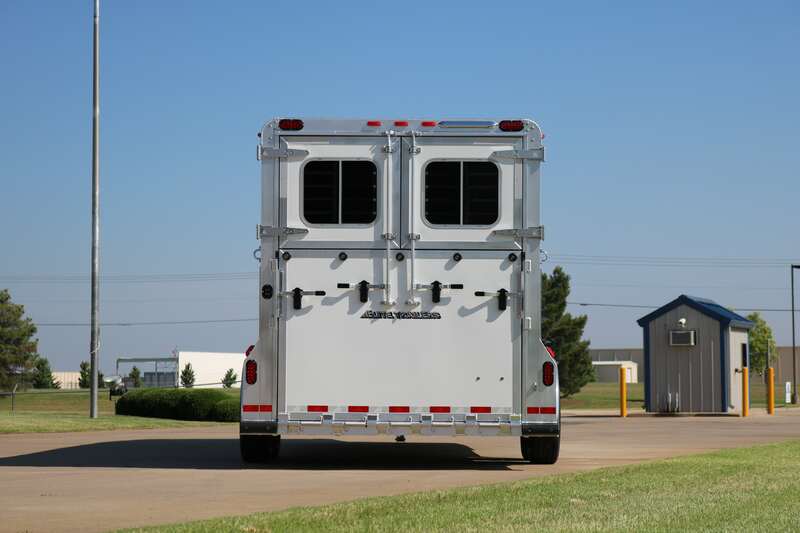 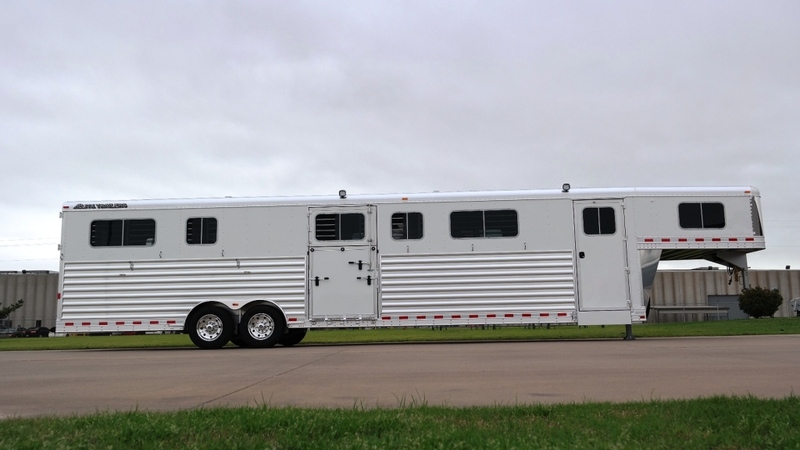 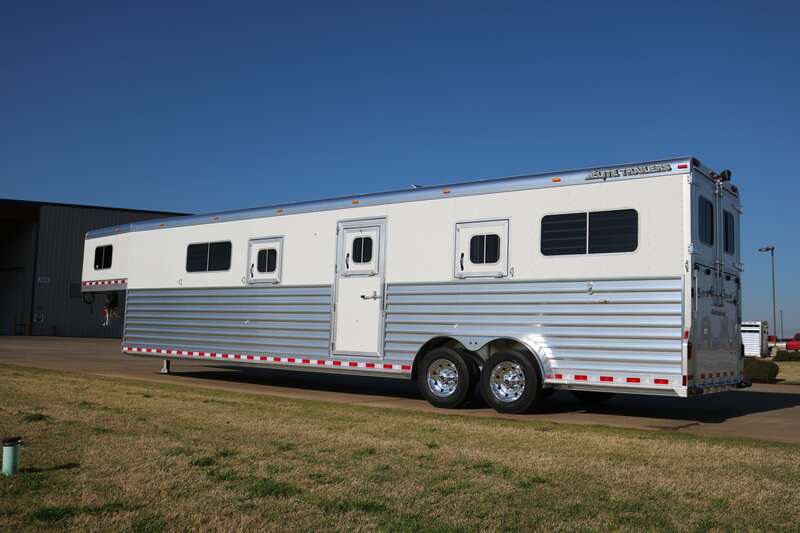 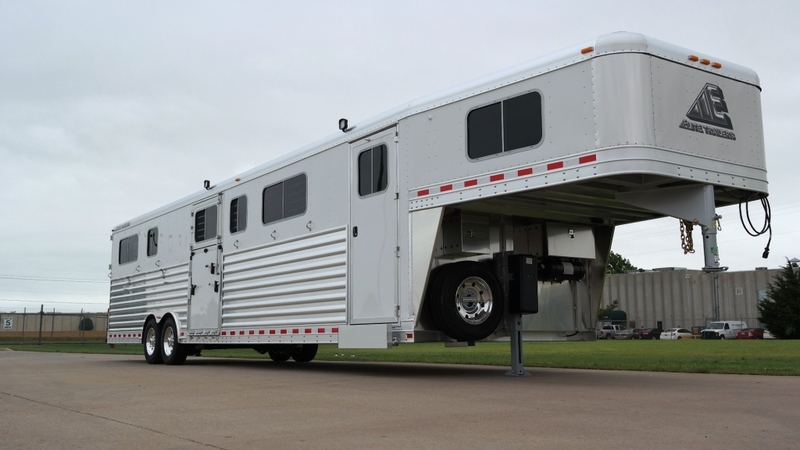 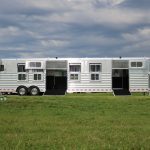 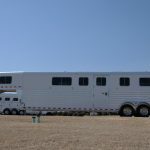 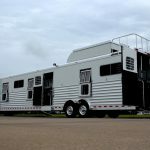 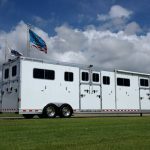 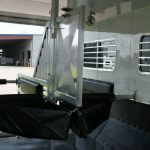 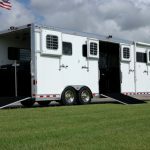 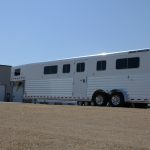 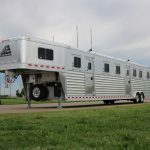 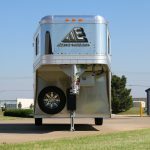 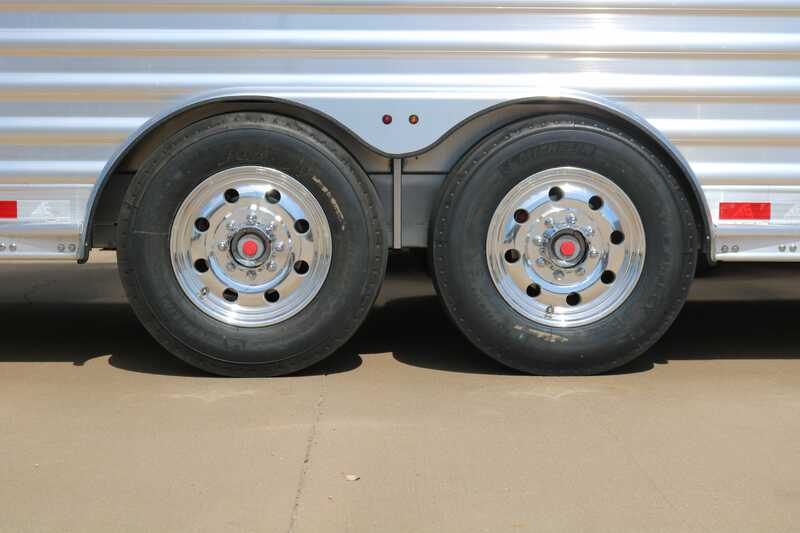 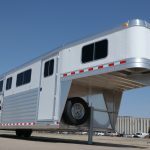 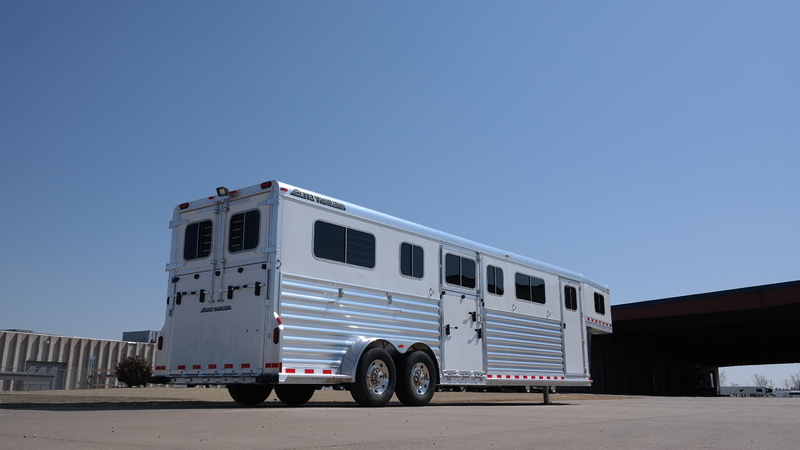 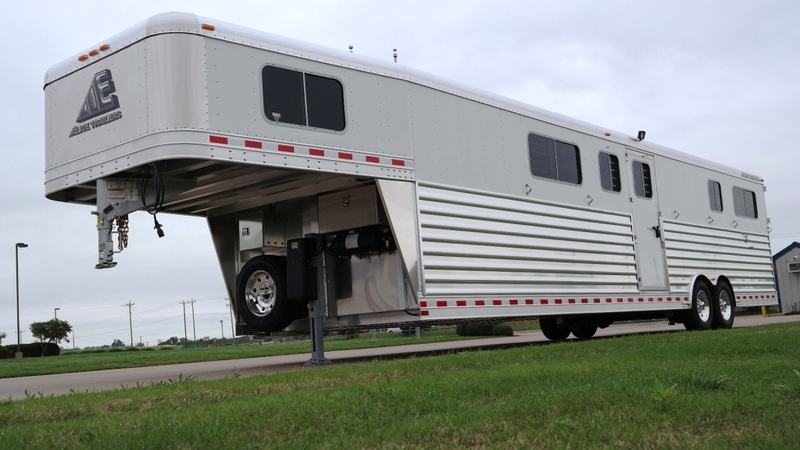 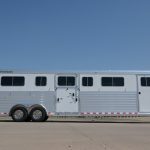 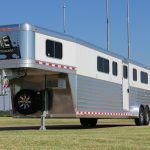 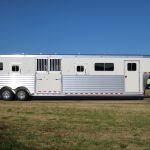 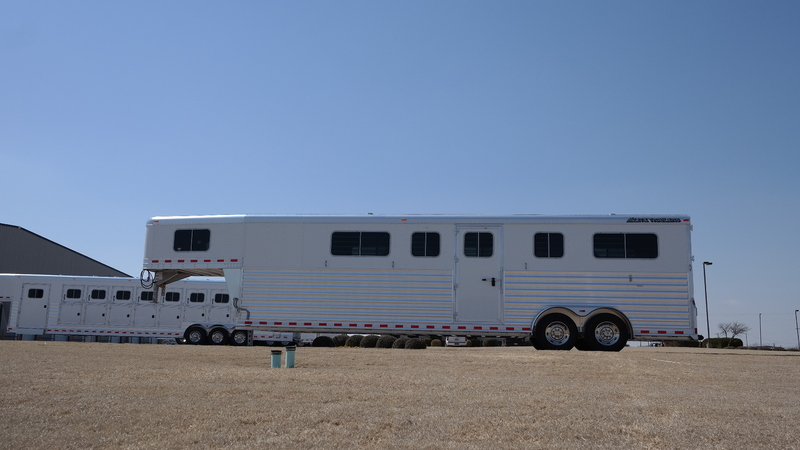 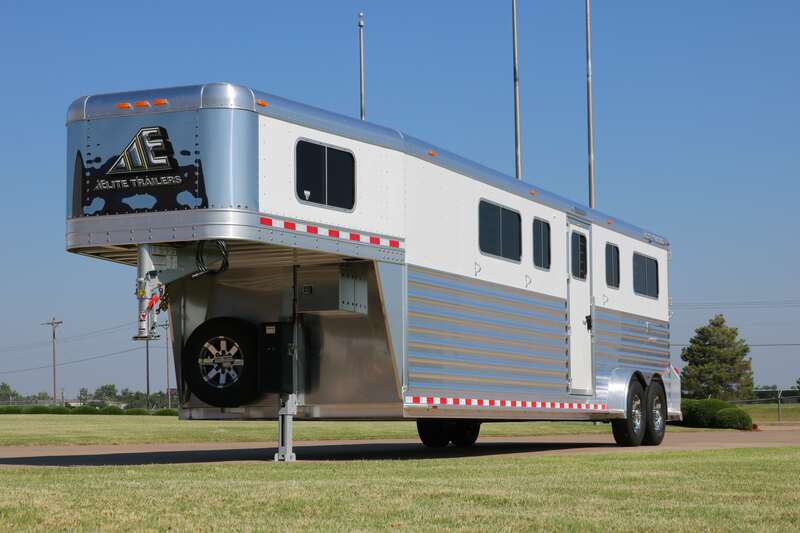 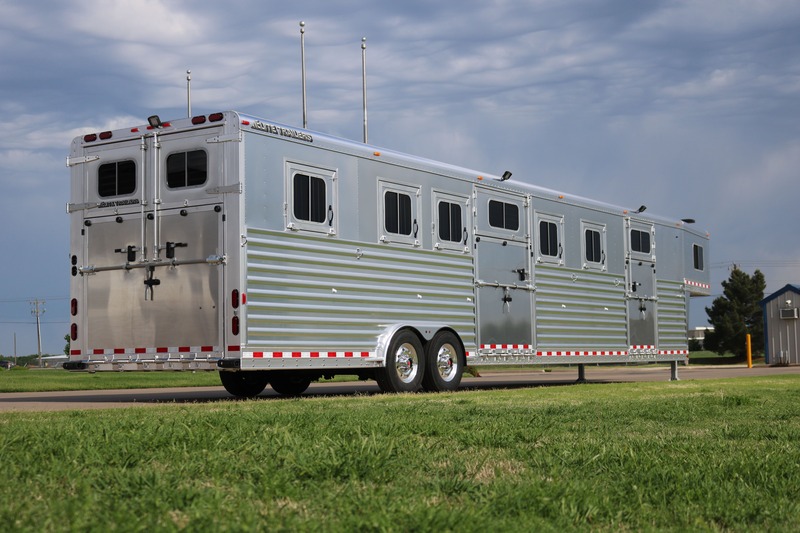 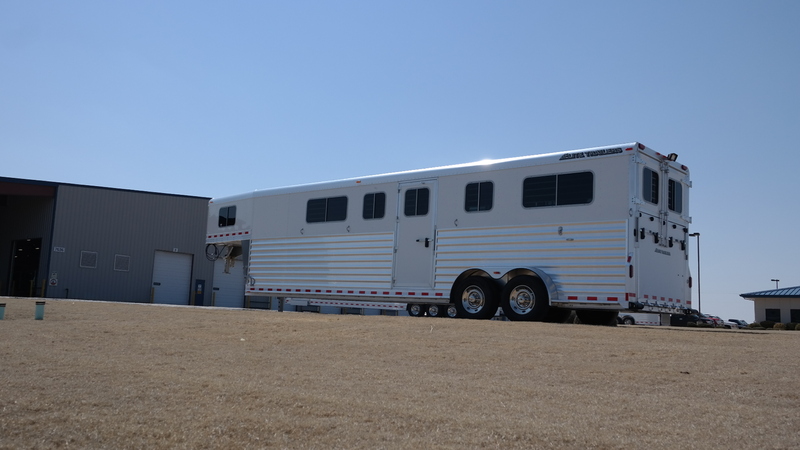 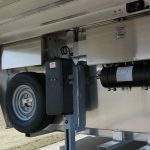 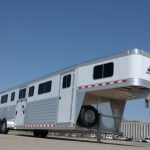 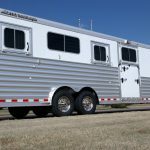 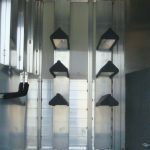 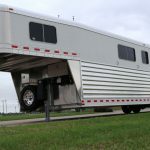 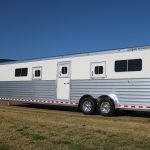 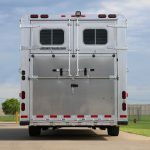 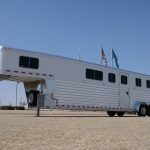 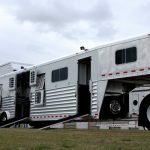 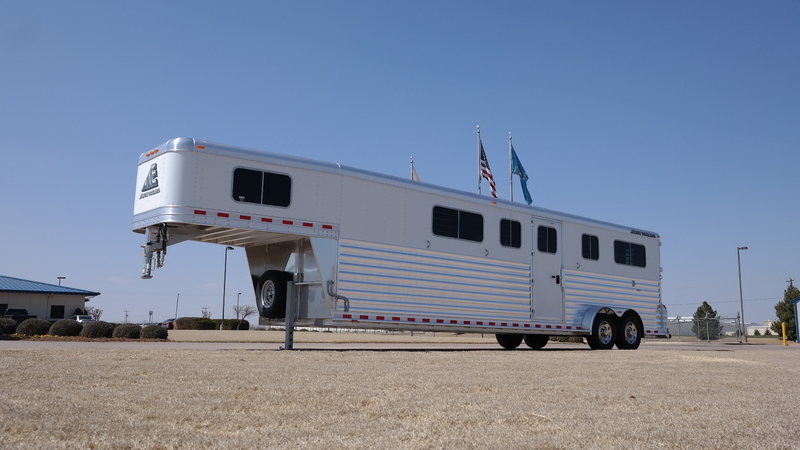 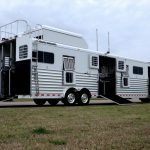 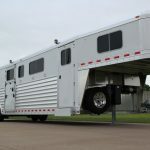 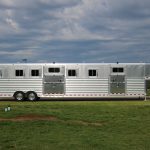 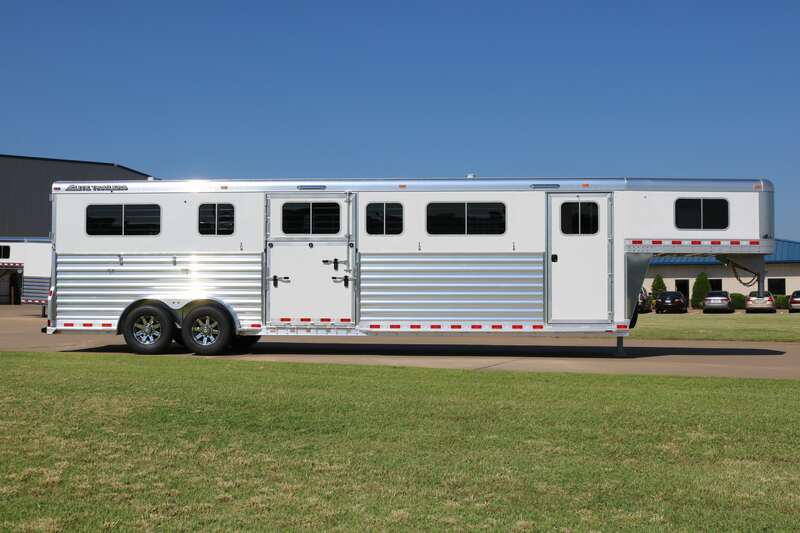 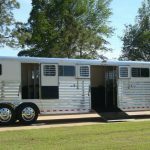 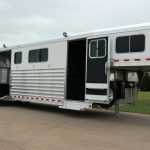 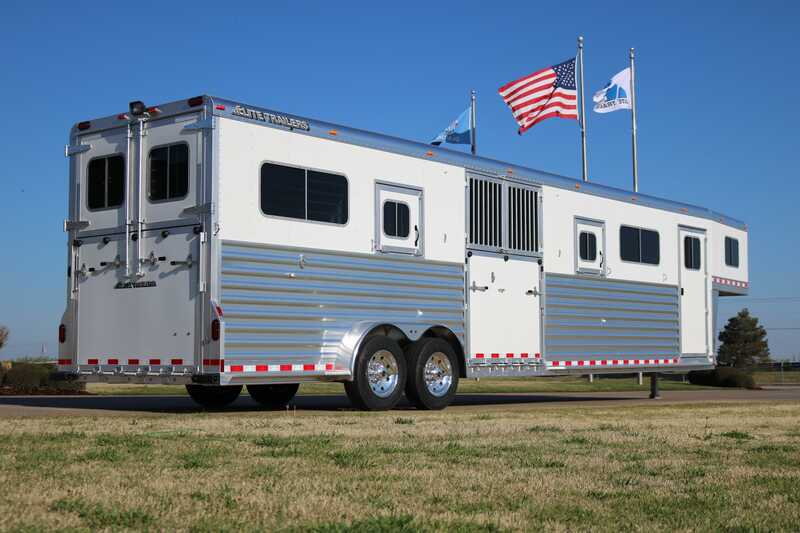 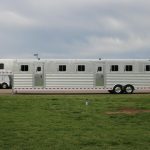 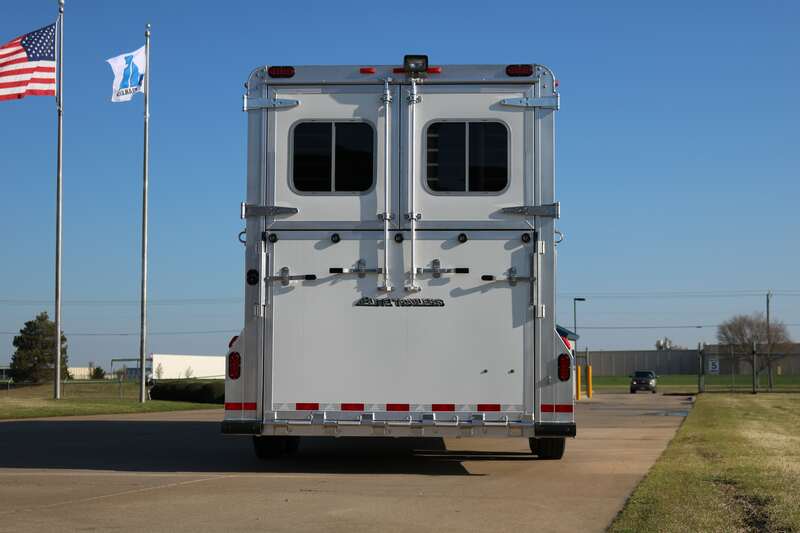 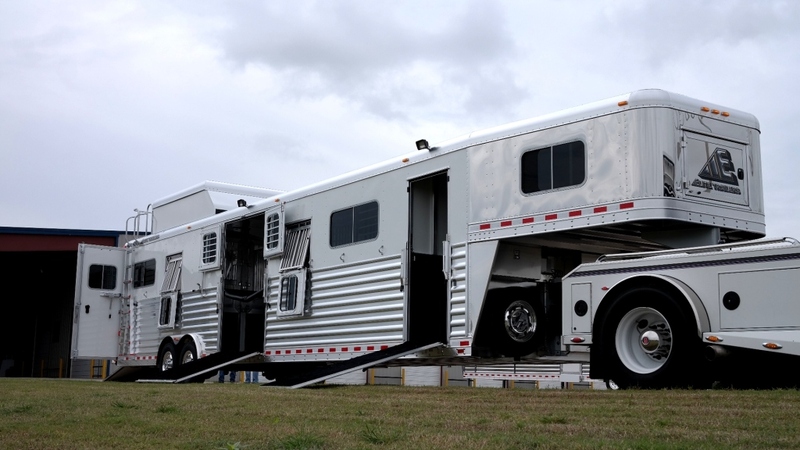 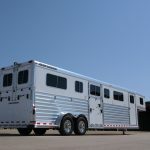 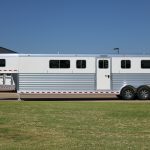 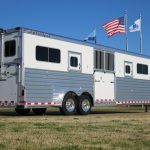 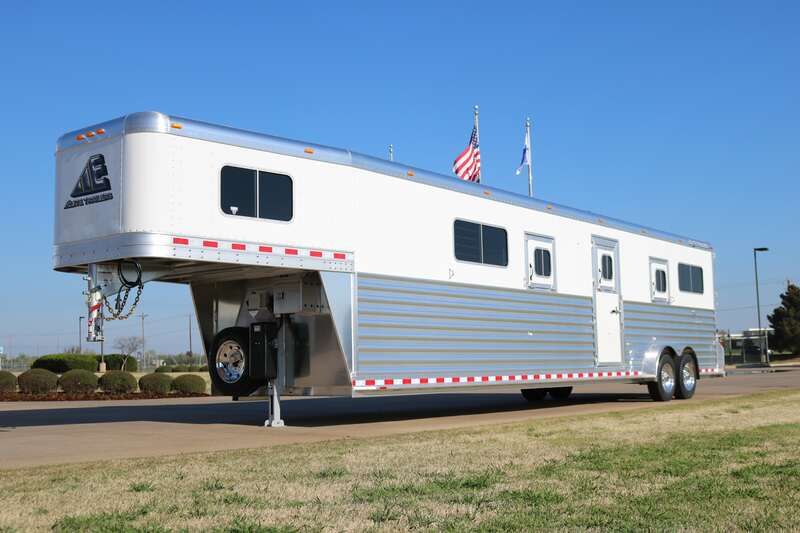 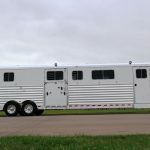 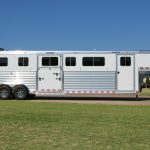 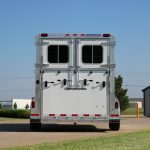 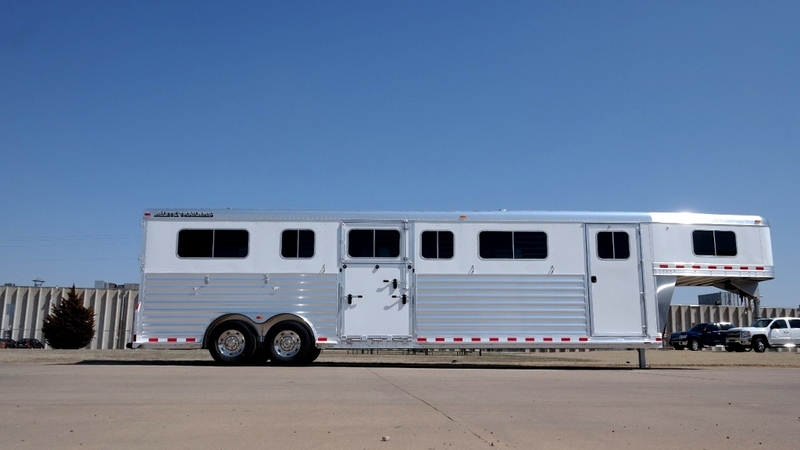 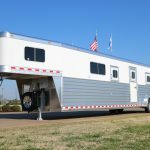 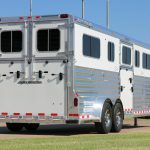 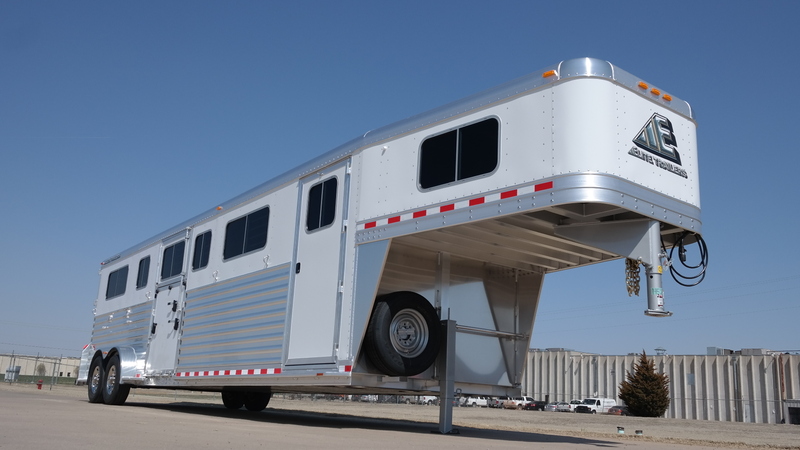 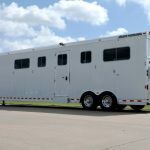 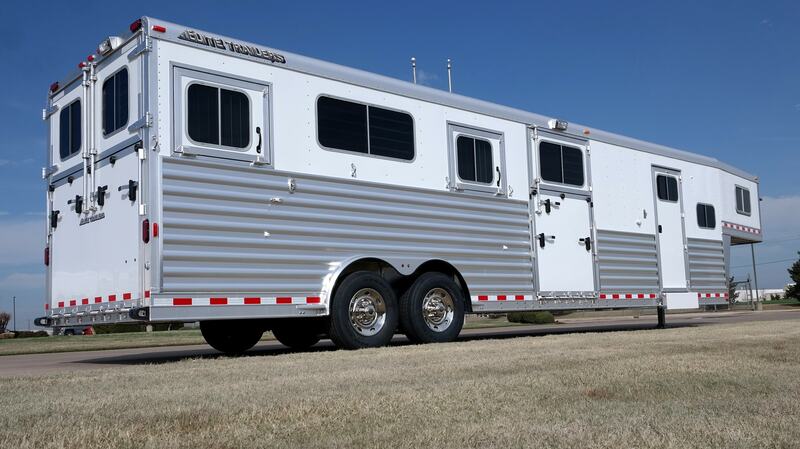 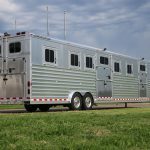 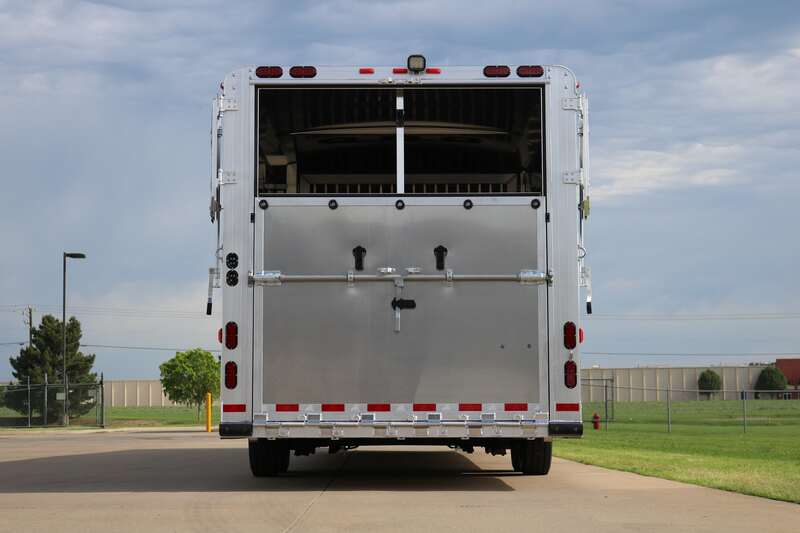 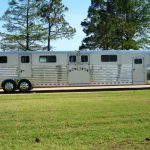 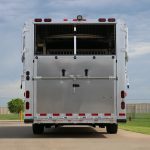 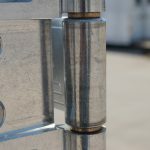 Head to head trailers, also referred to as center load trailers, will be designed typically for four to six horses & more. 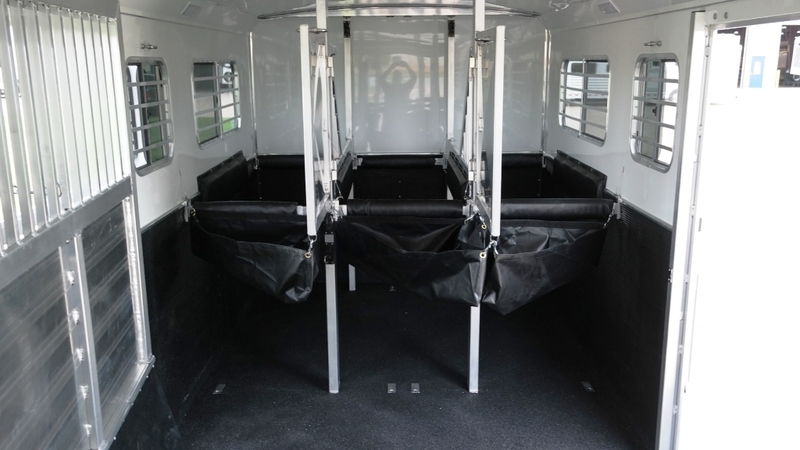 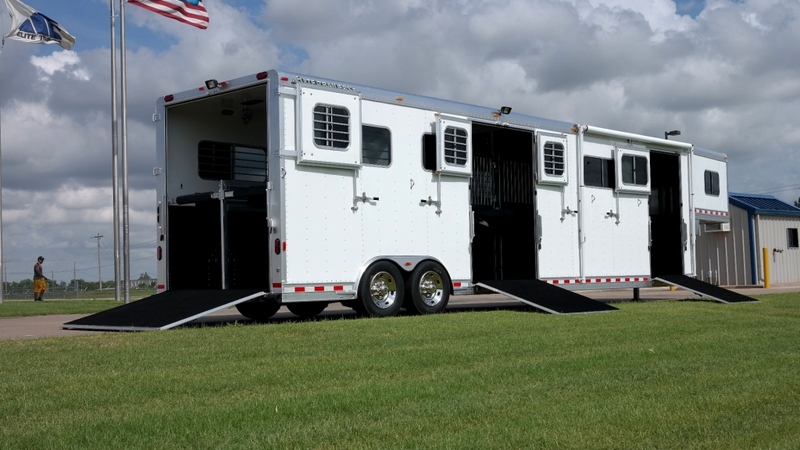 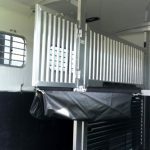 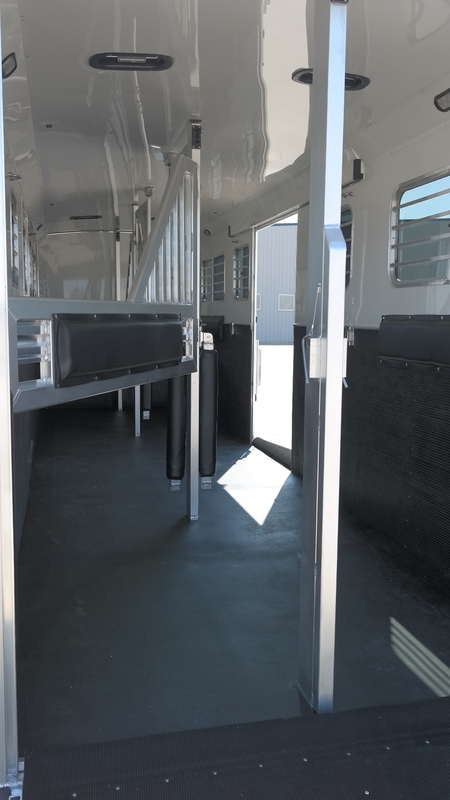 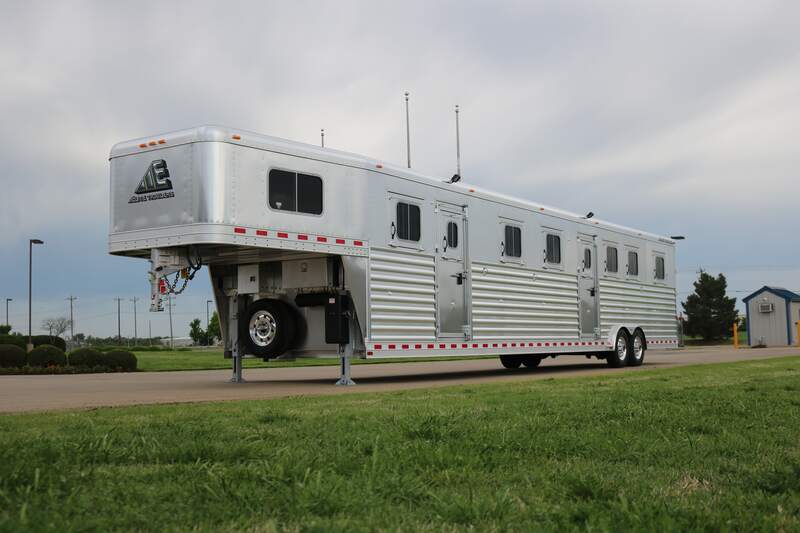 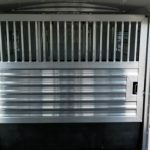 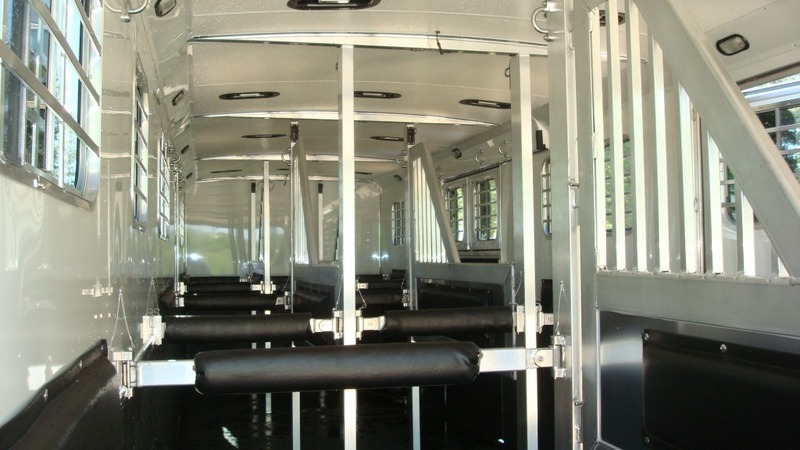 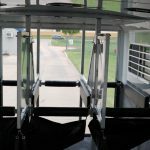 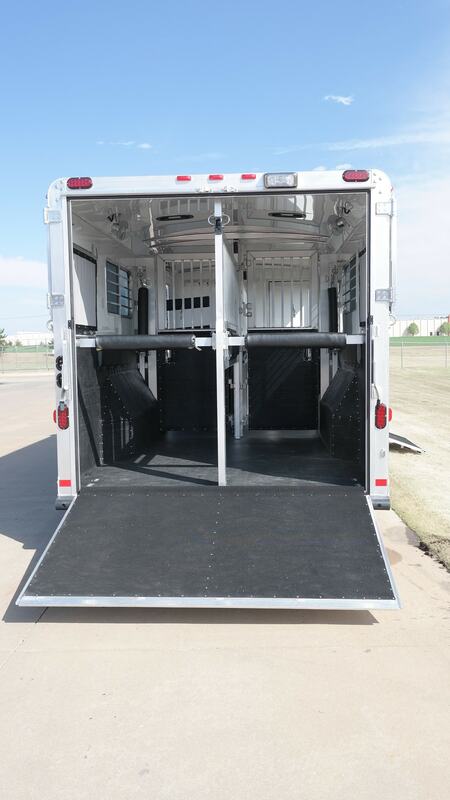 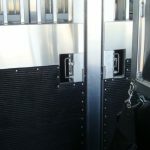 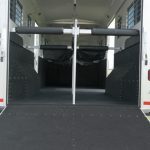 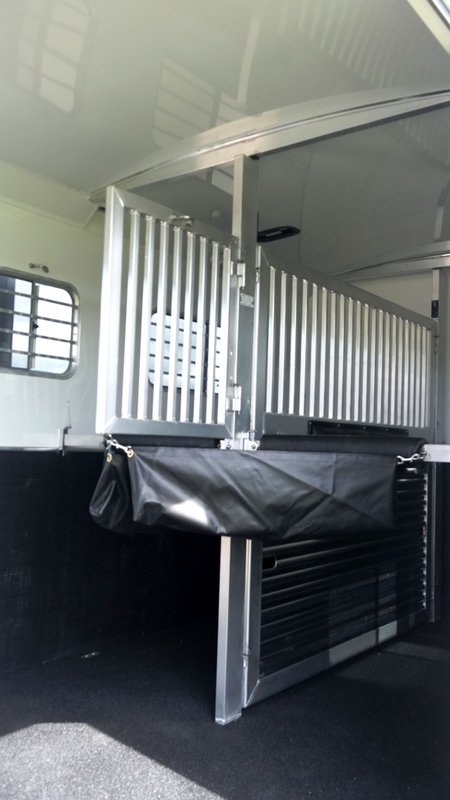 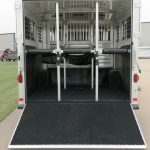 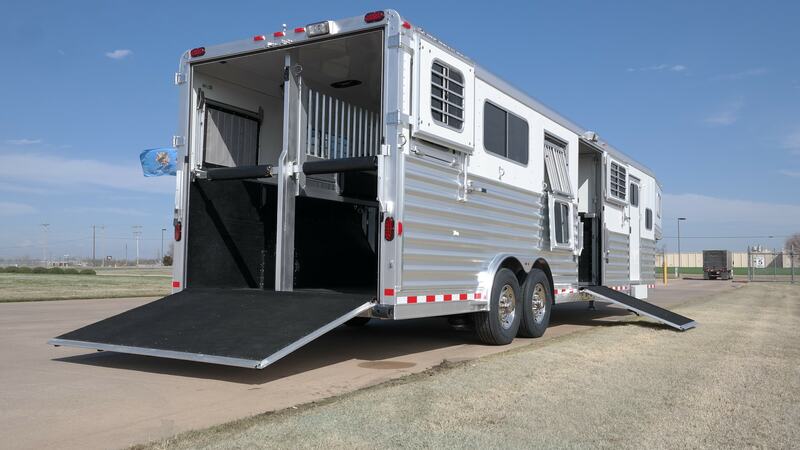 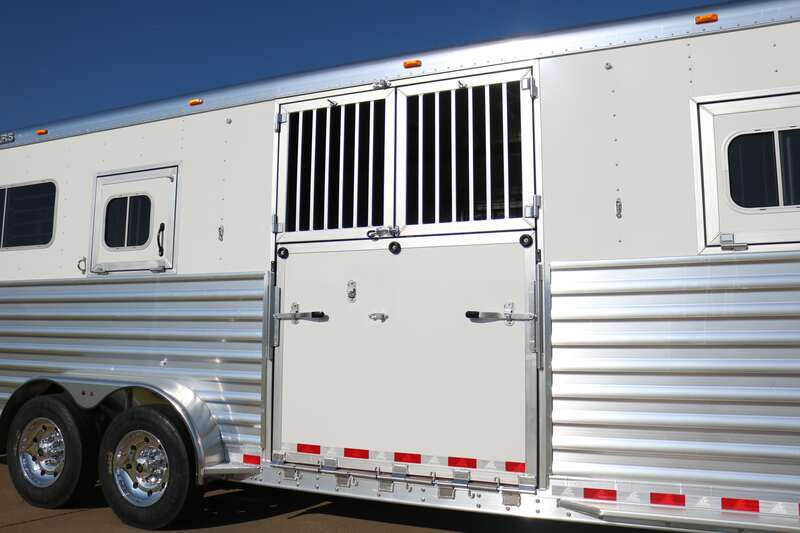 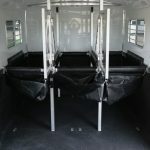 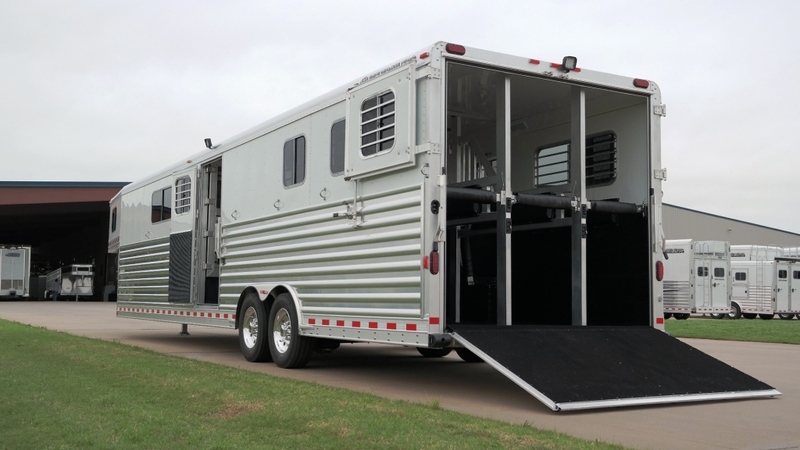 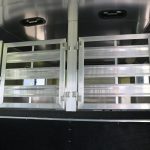 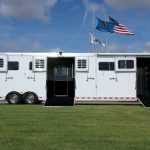 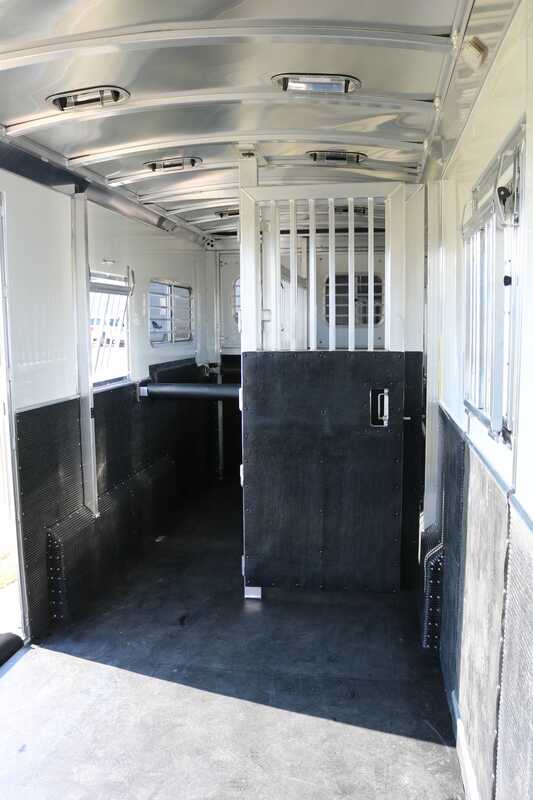 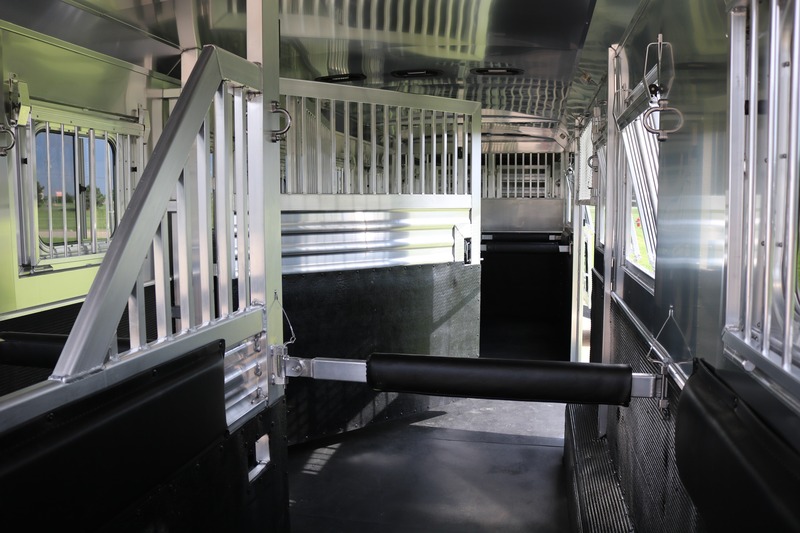 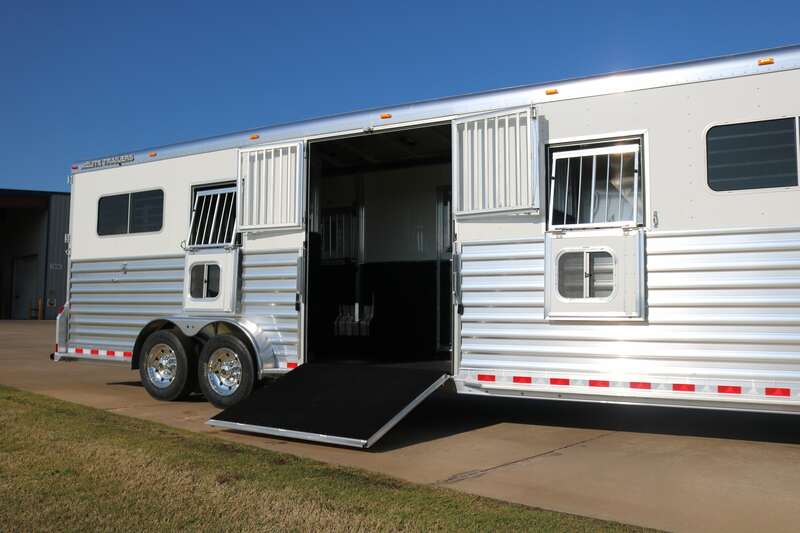 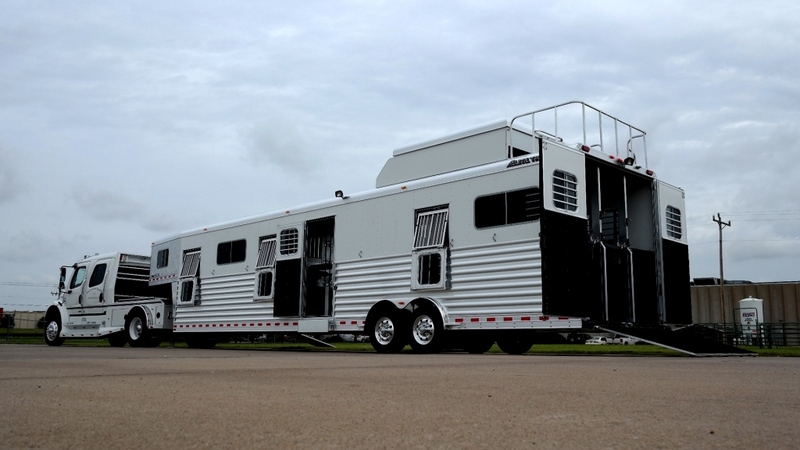 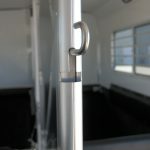 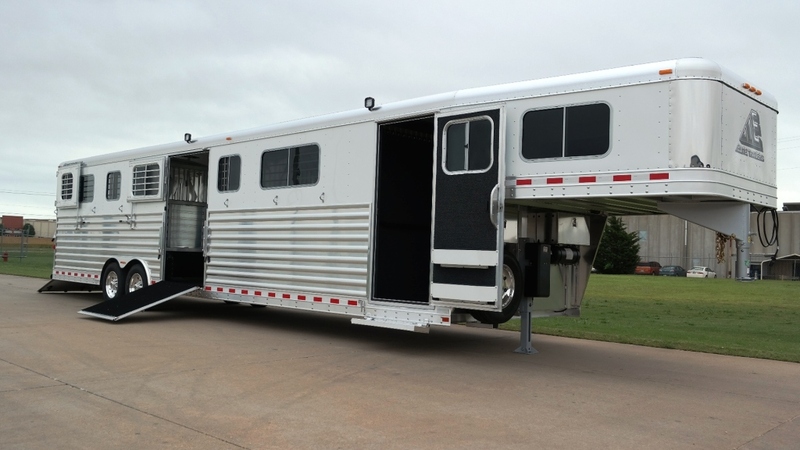 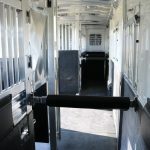 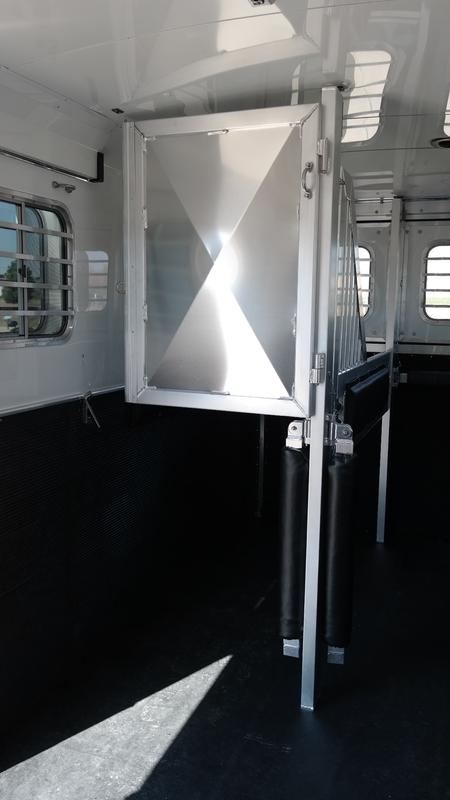 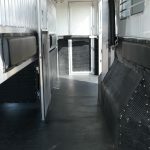 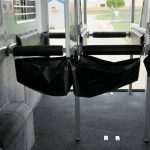 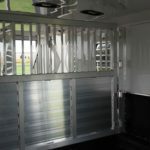 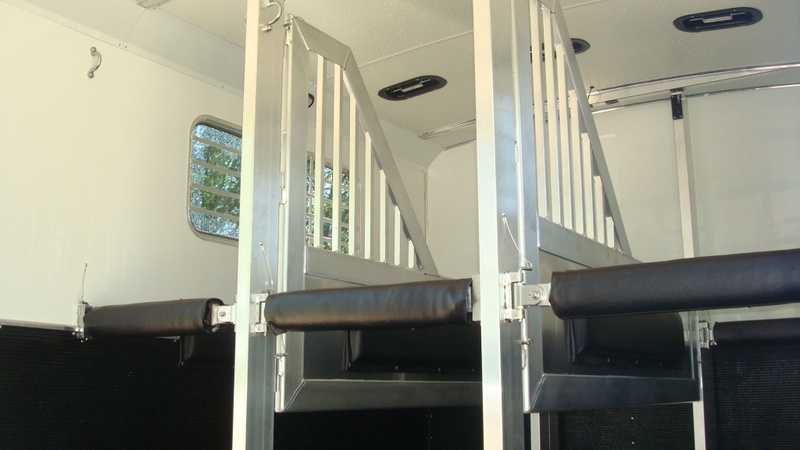 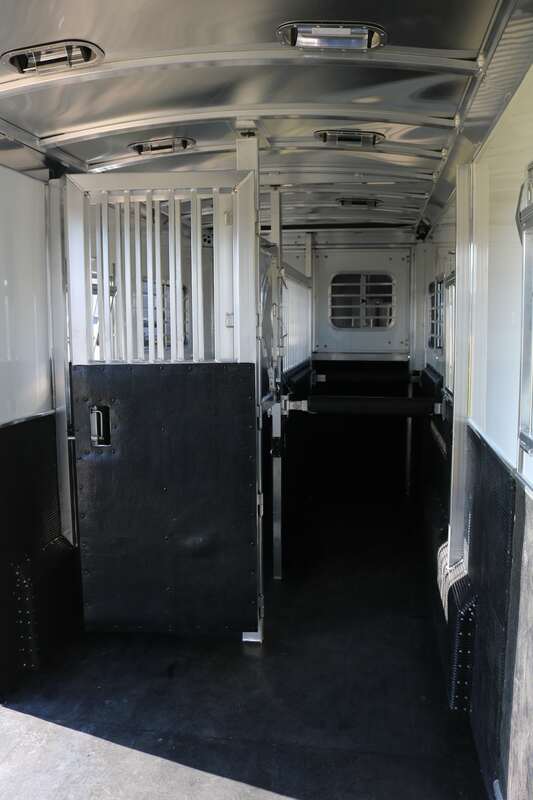 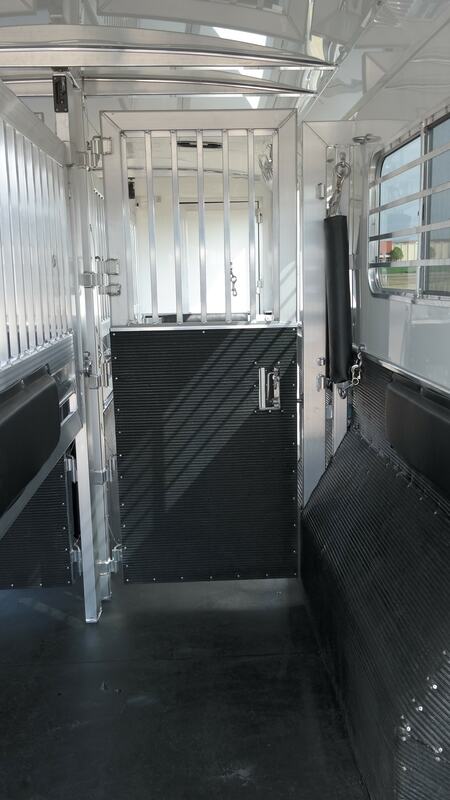 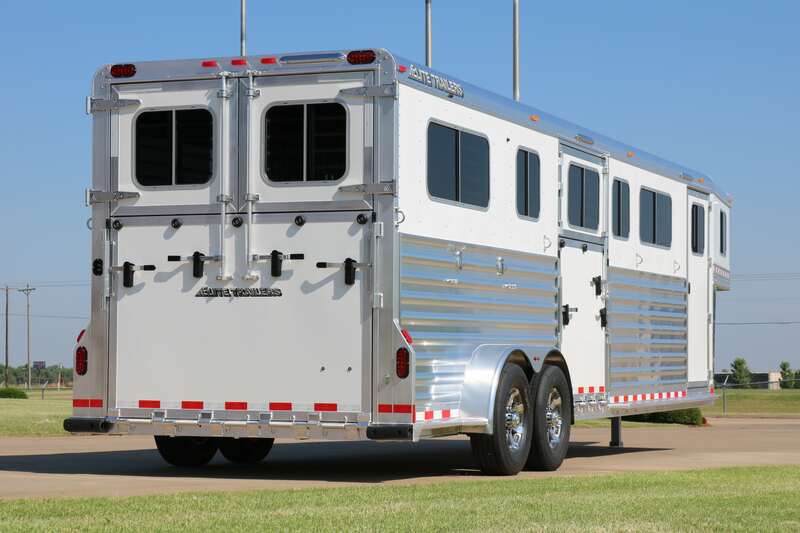 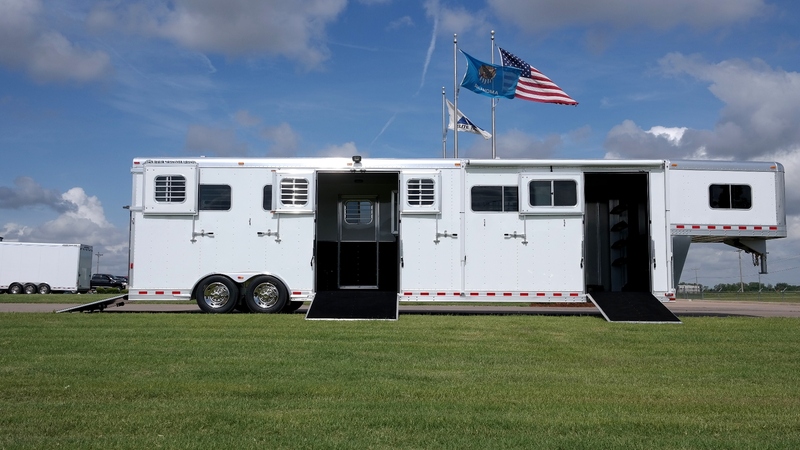 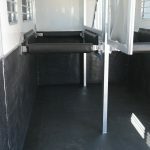 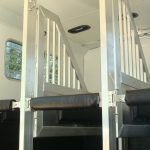 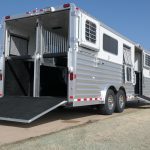 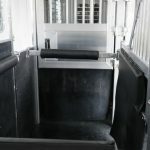 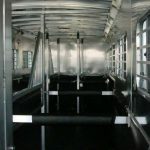 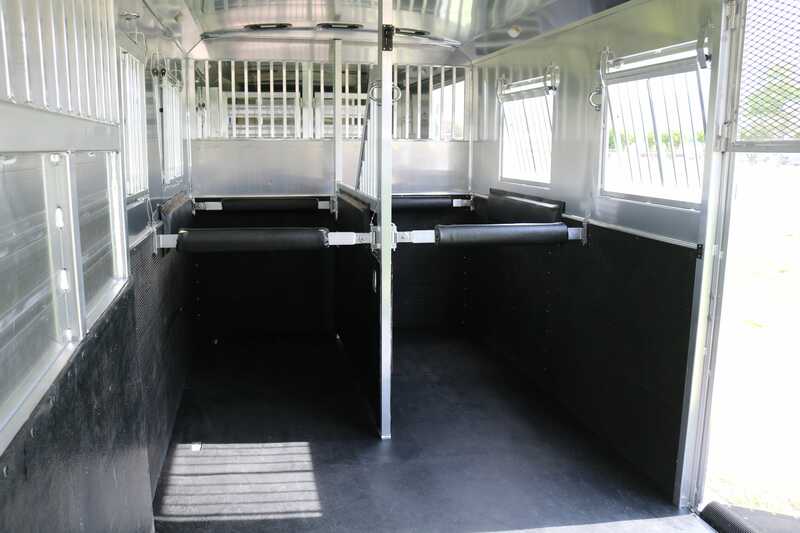 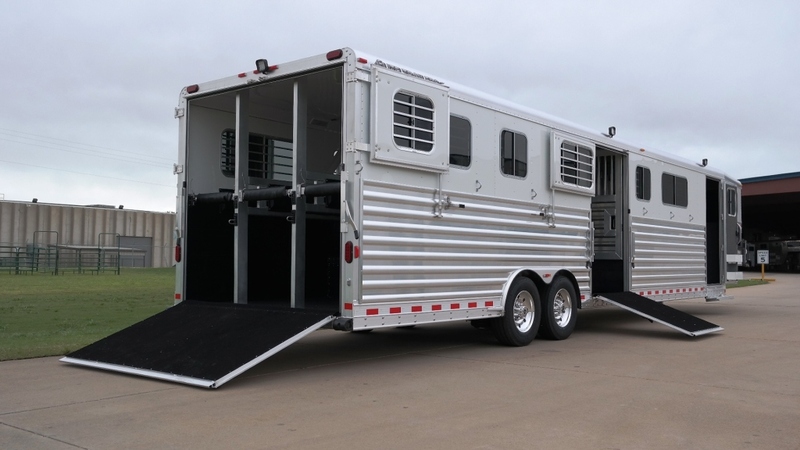 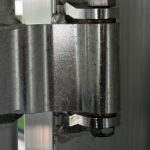 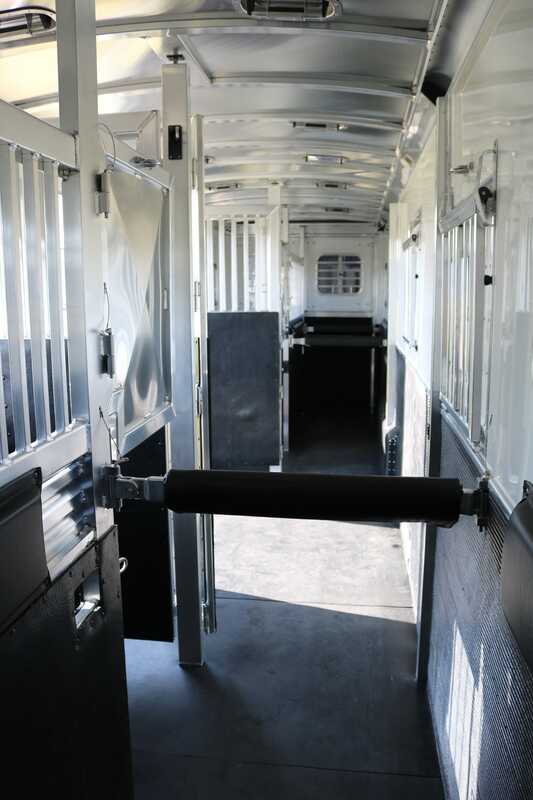 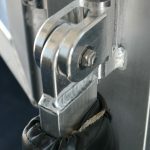 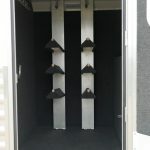 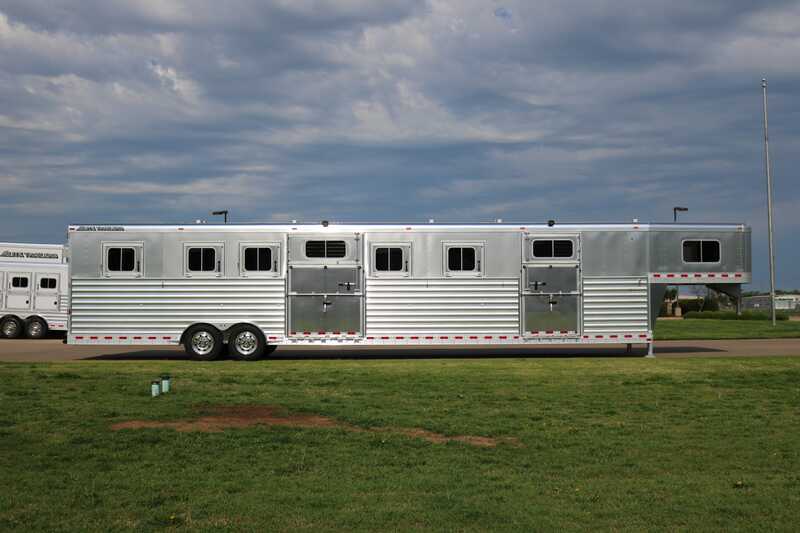 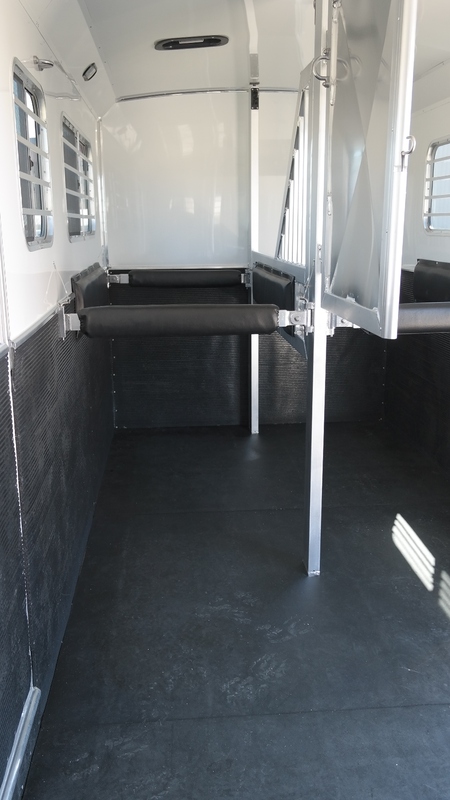 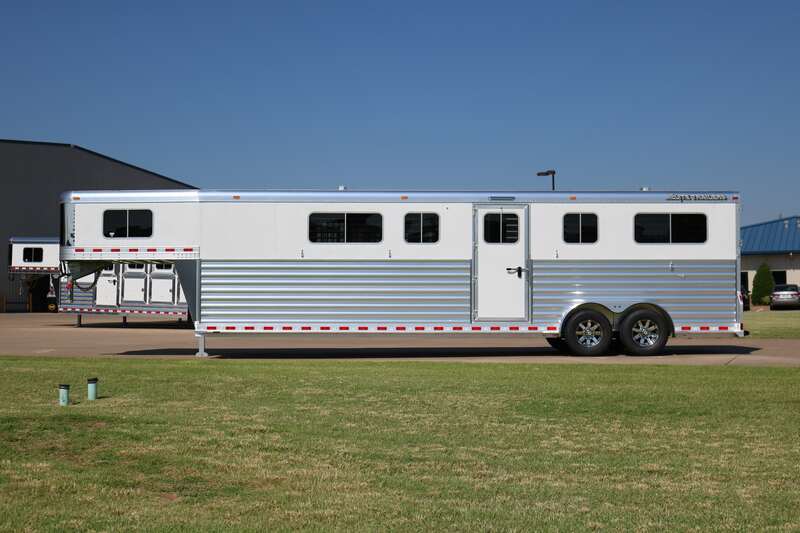 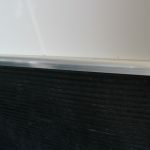 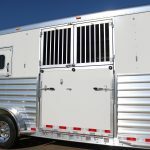 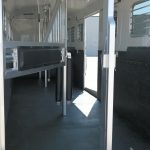 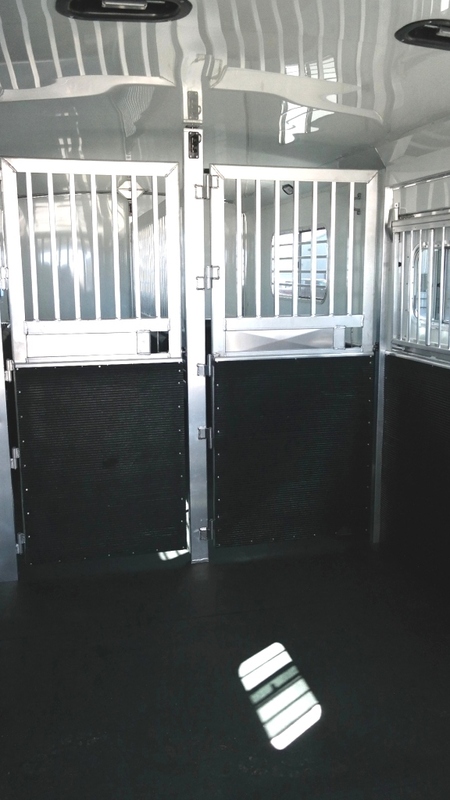 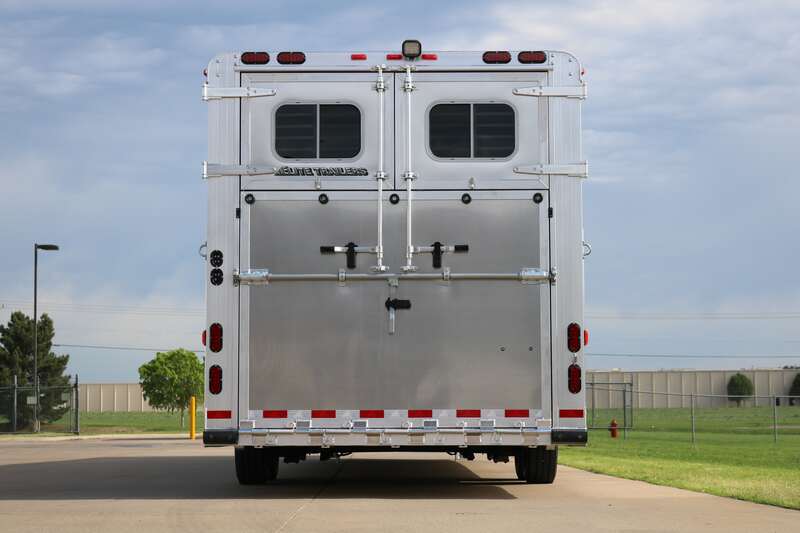 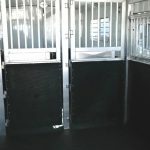 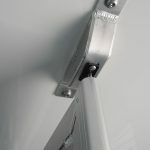 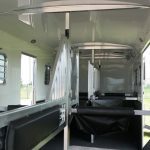 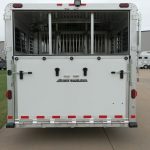 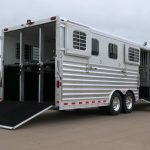 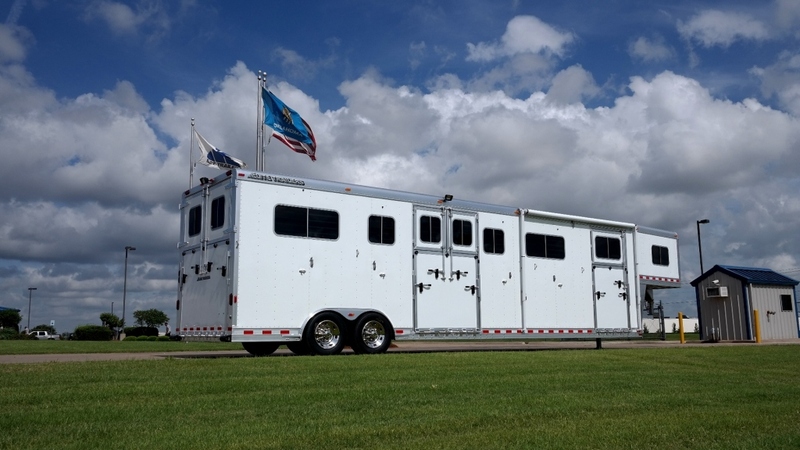 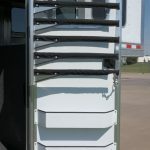 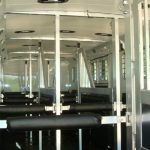 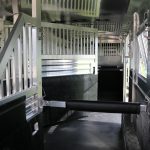 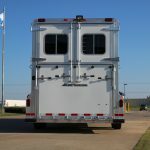 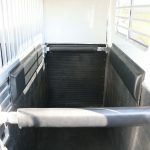 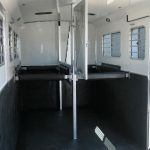 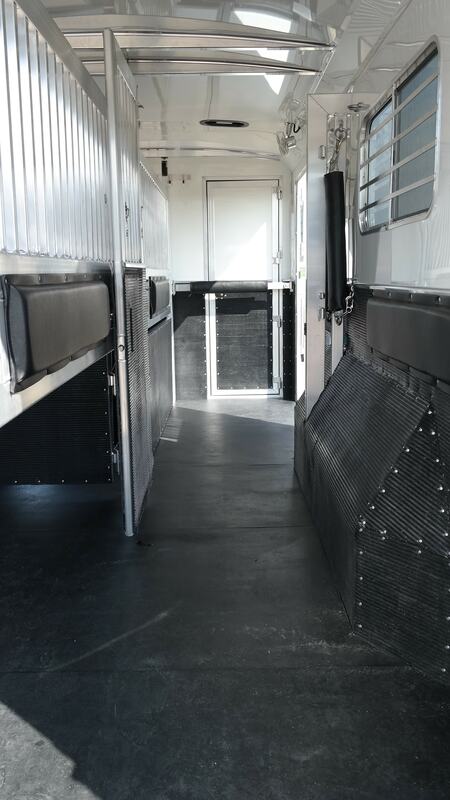 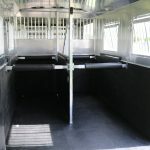 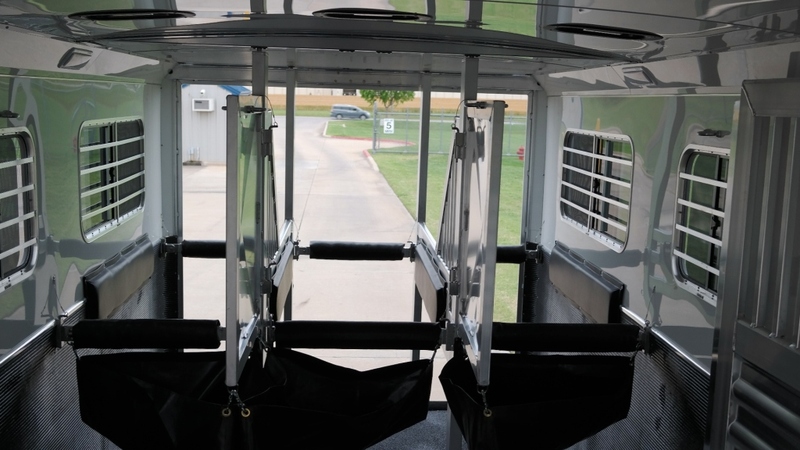 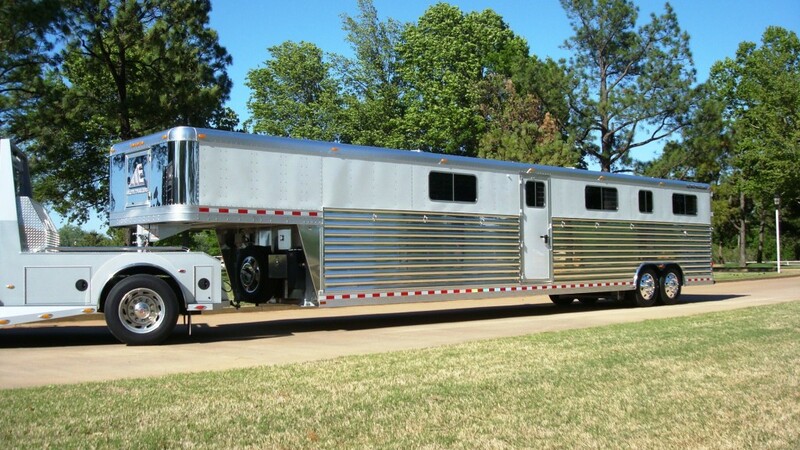 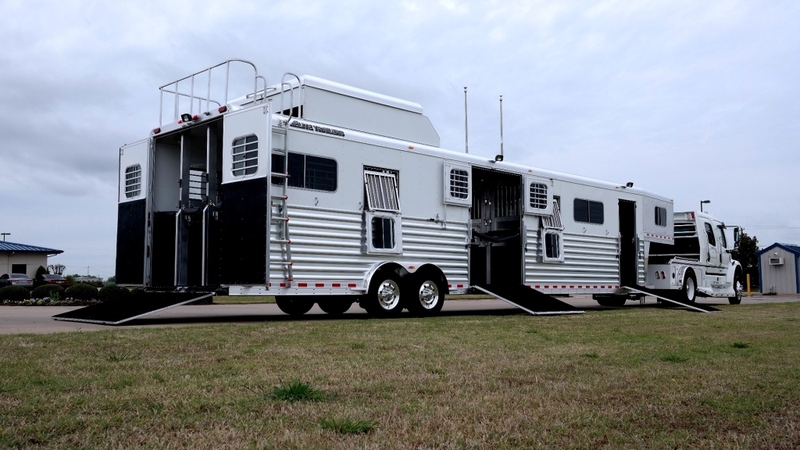 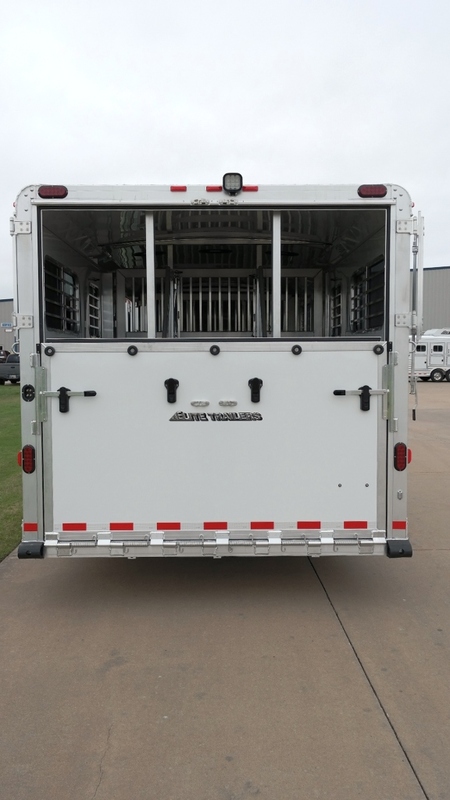 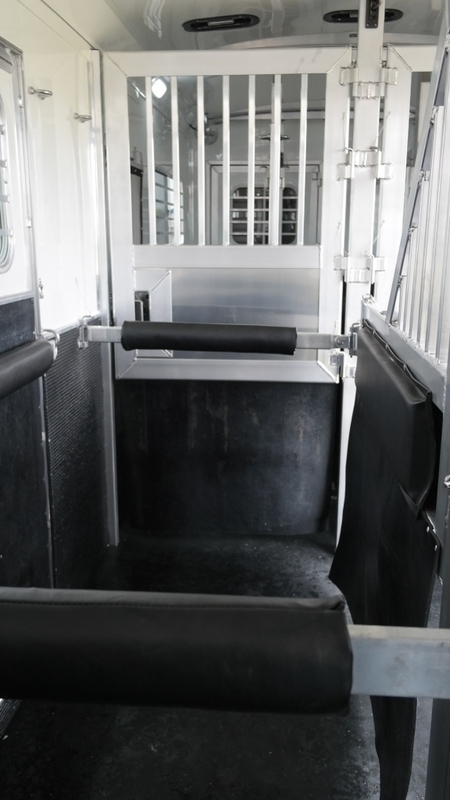 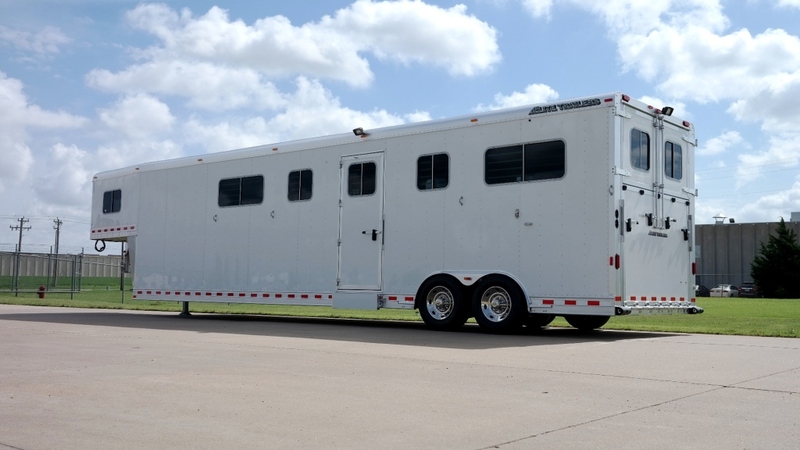 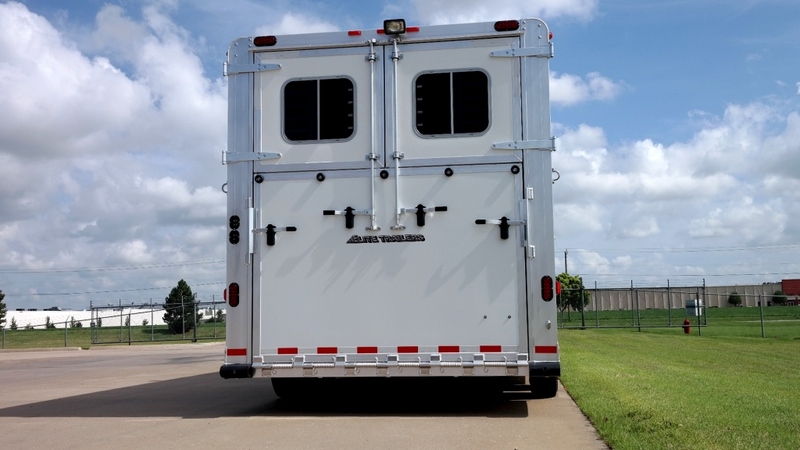 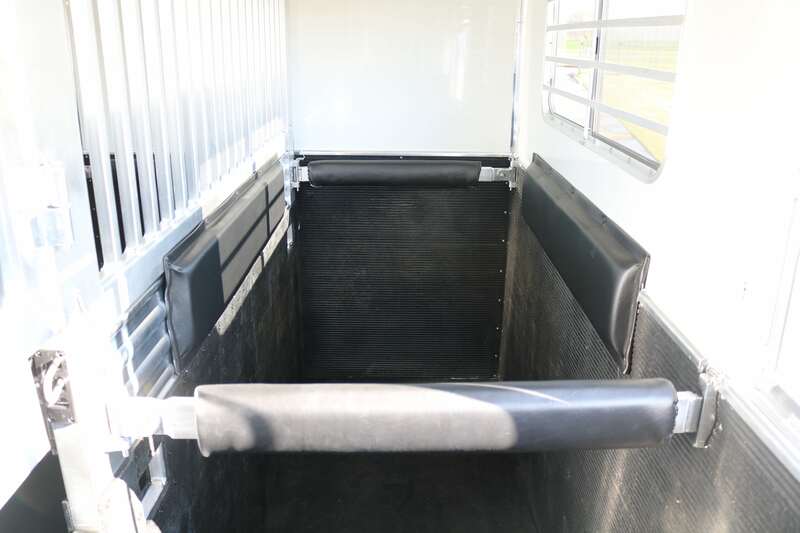 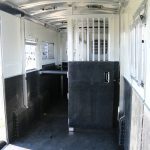 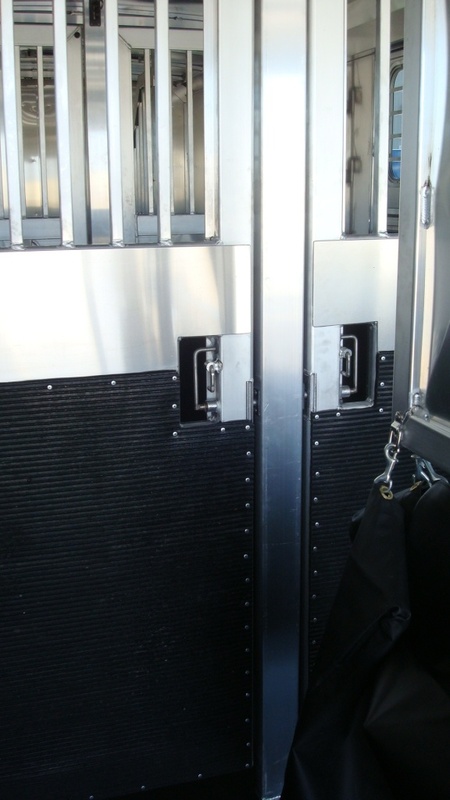 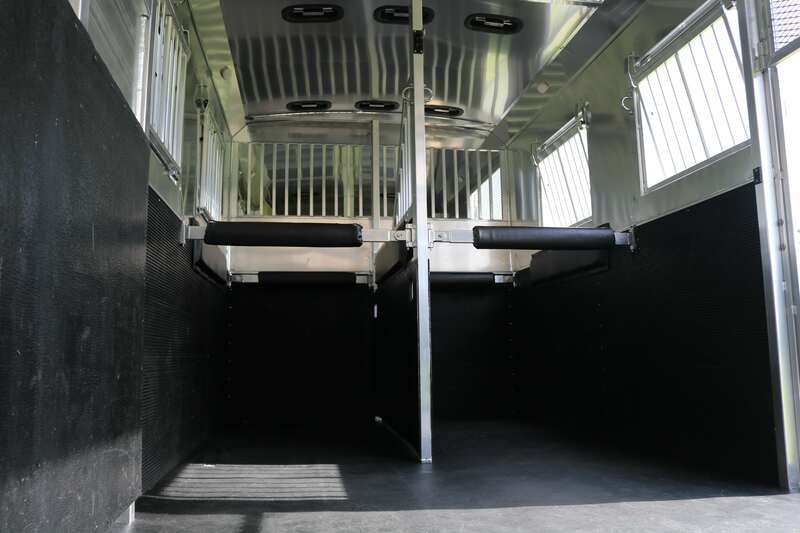 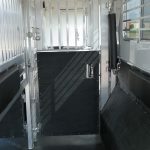 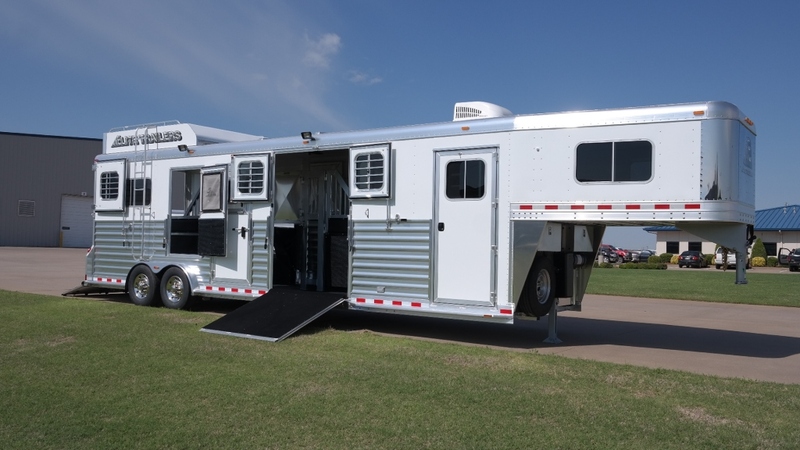 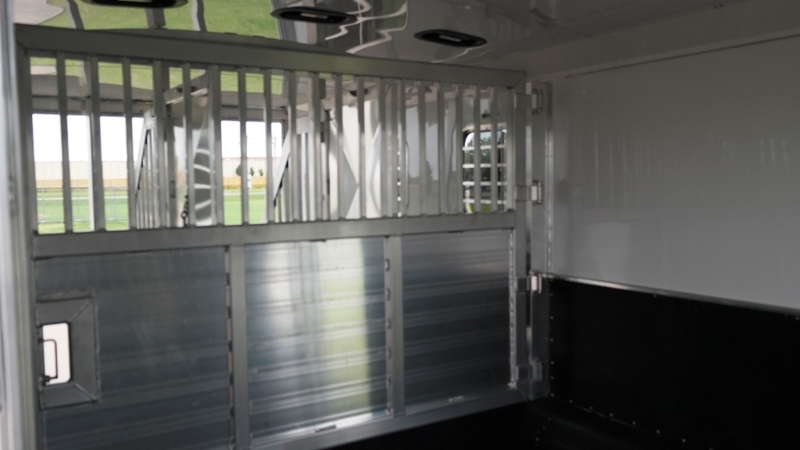 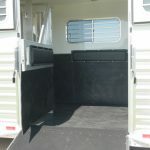 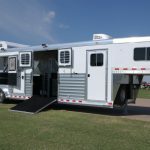 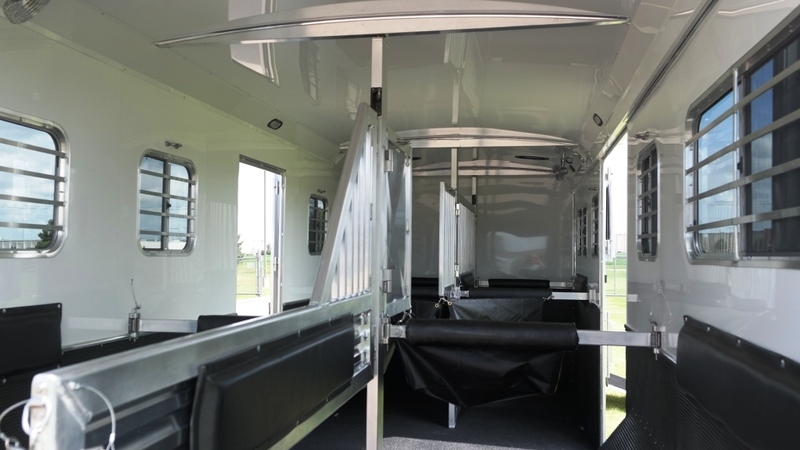 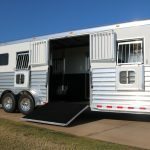 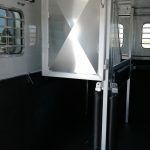 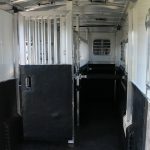 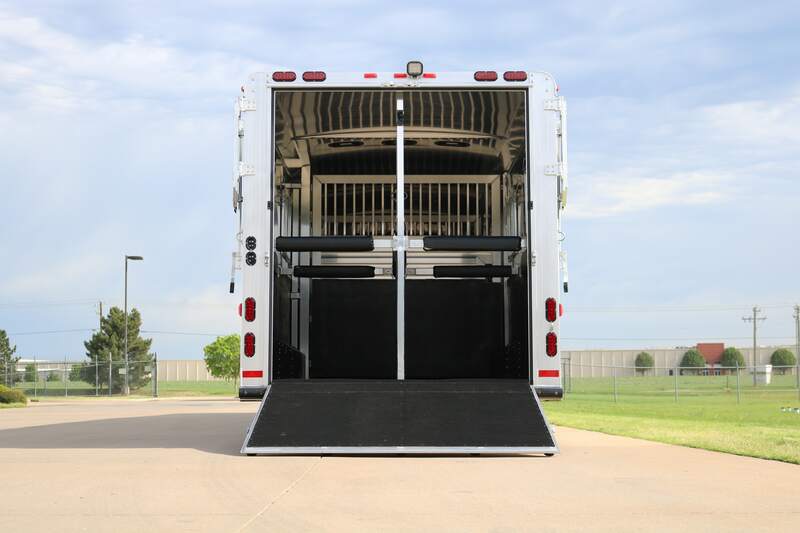 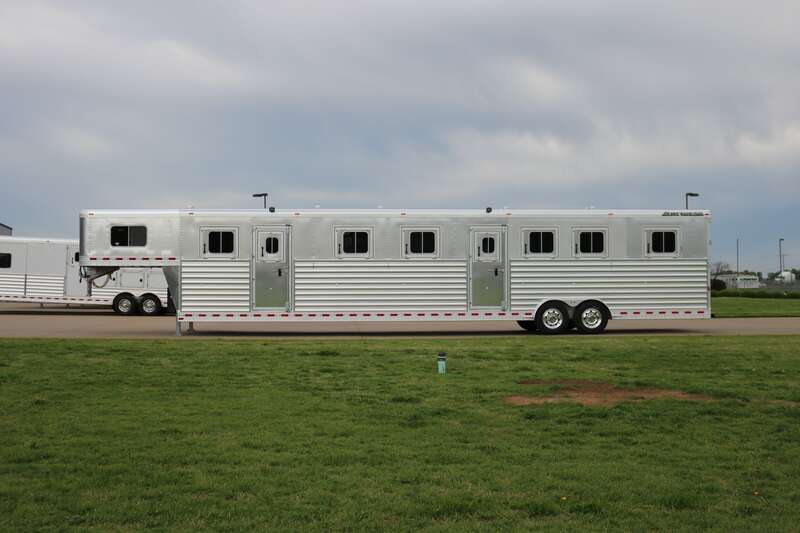 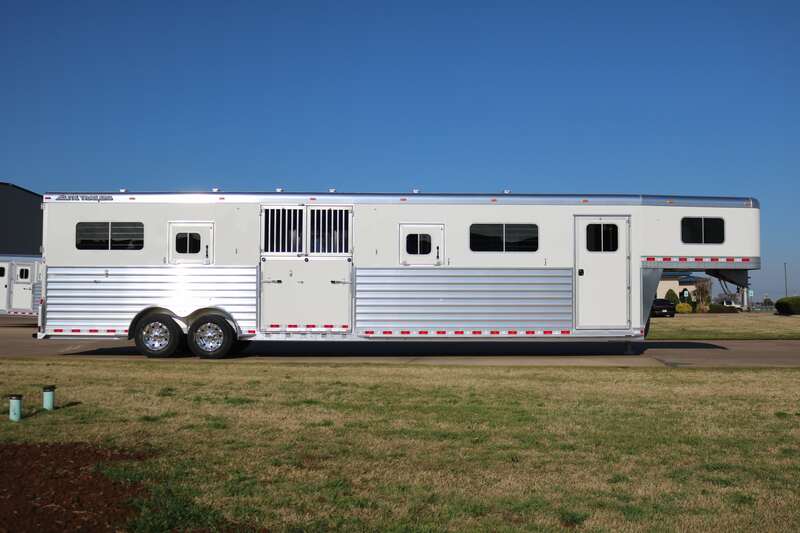 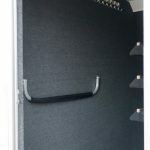 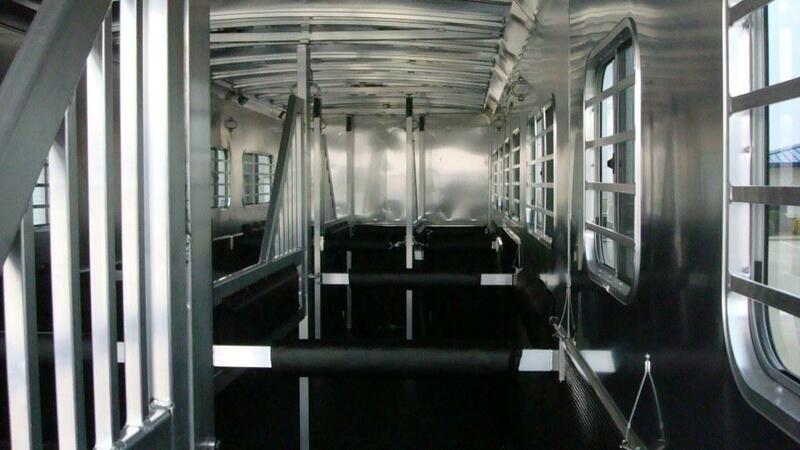 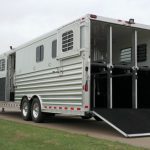 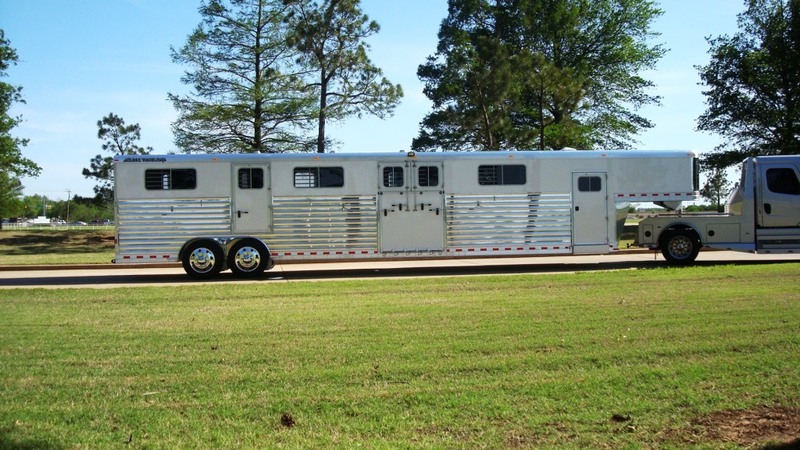 There will be two or three horse side by side in the rear of the trailer facing forward, then a center “alley” between the stalls, the two to three horses loaded side by side facing the rear of the trailer. 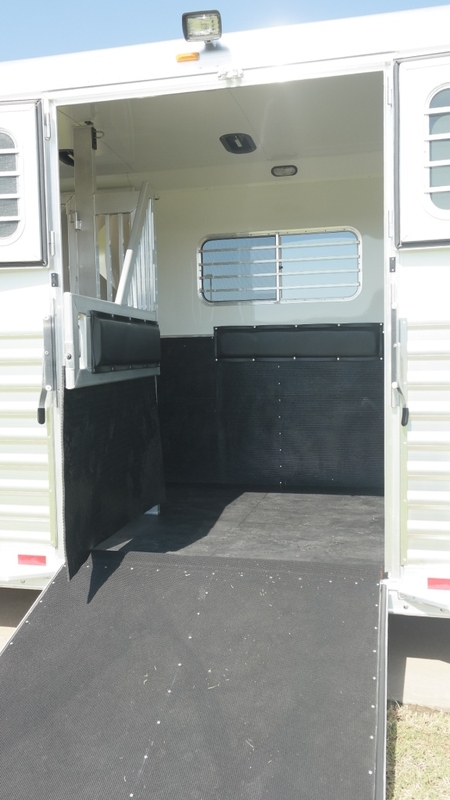 There will be a side ramp and escape door into the center alley. 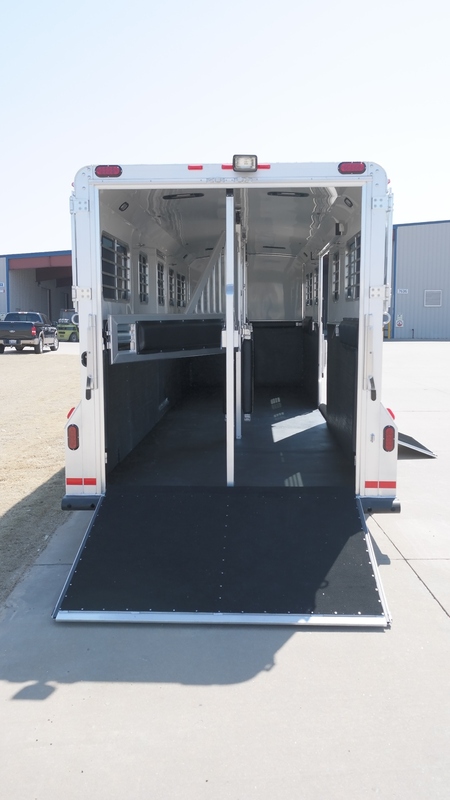 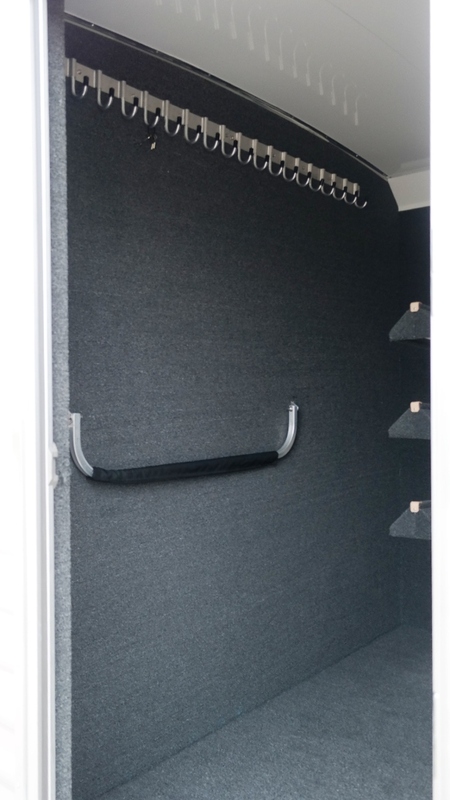 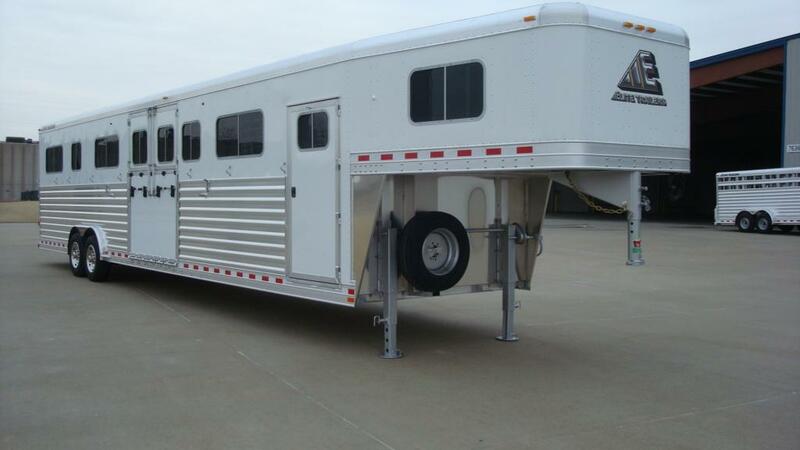 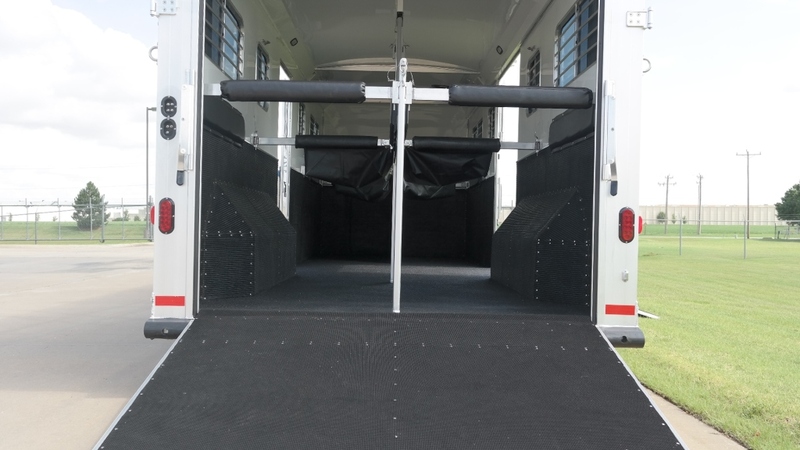 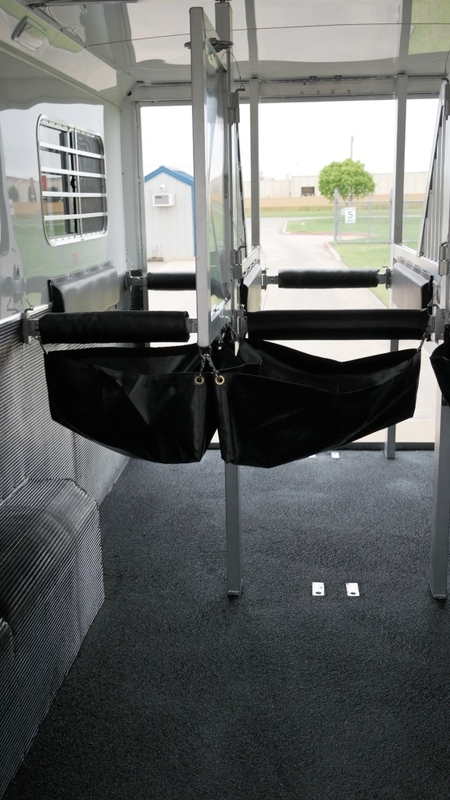 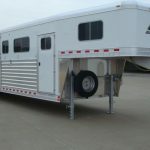 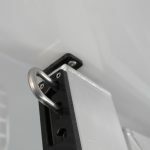 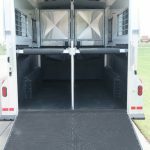 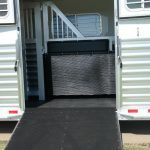 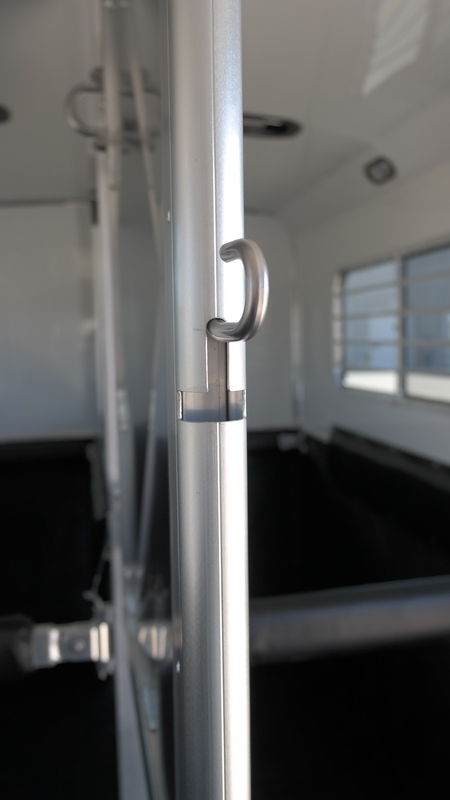 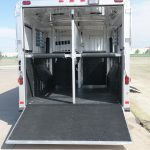 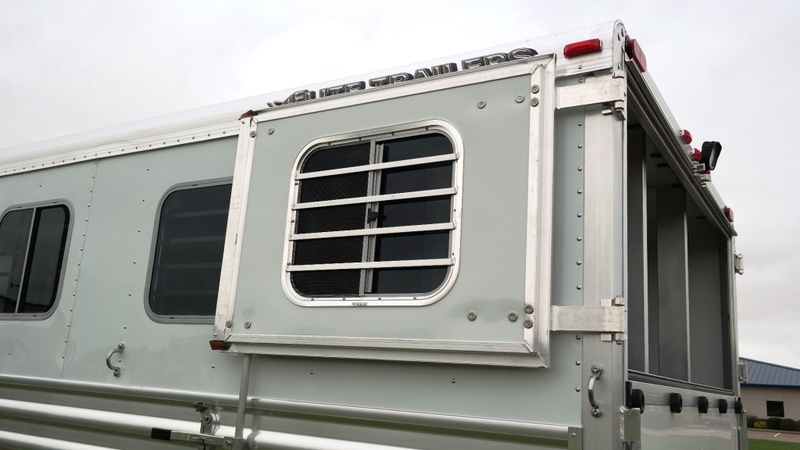 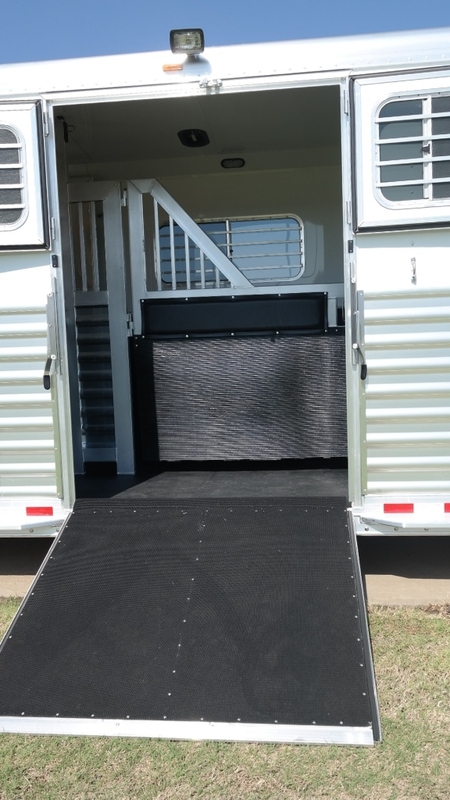 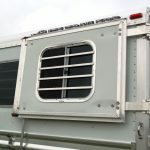 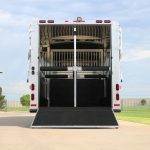 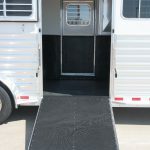 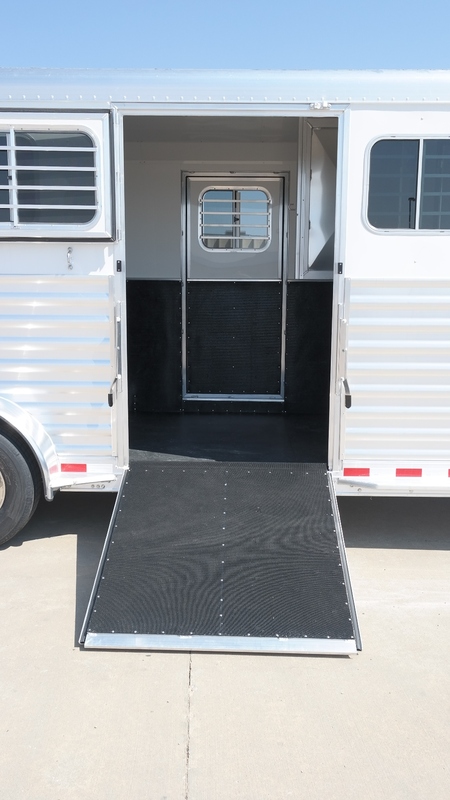 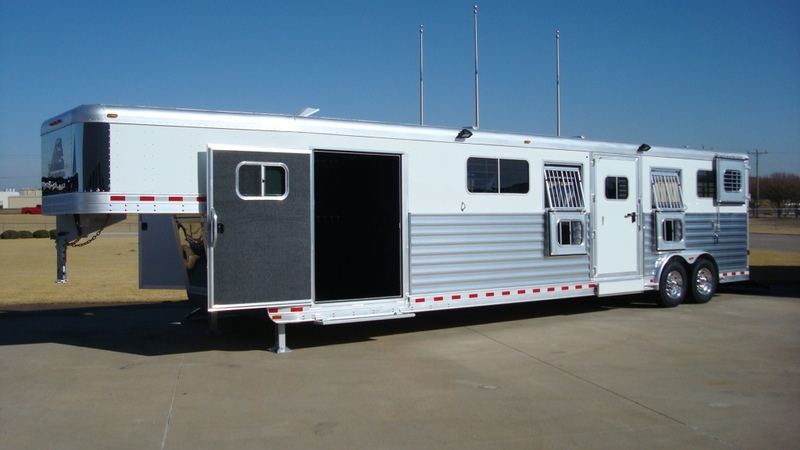 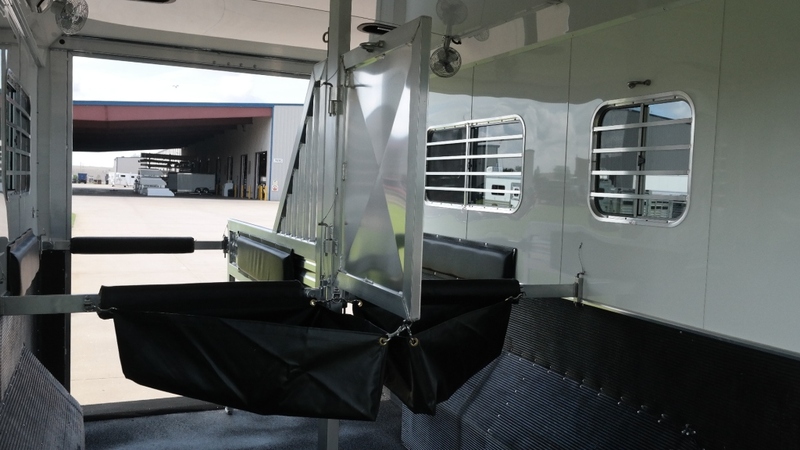 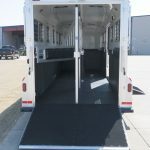 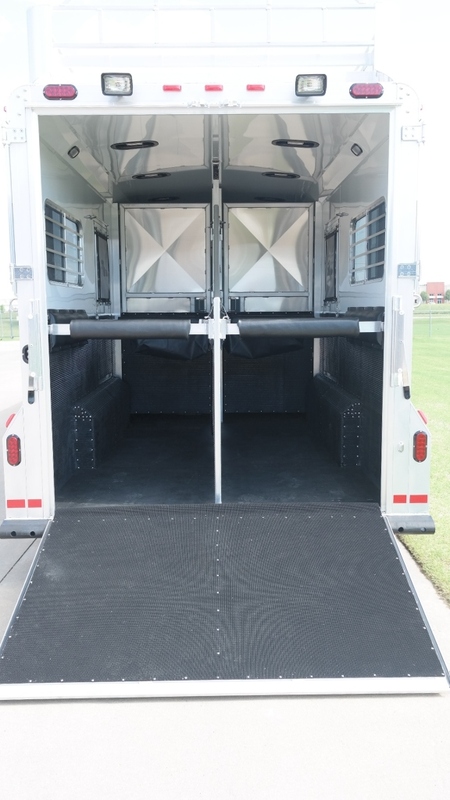 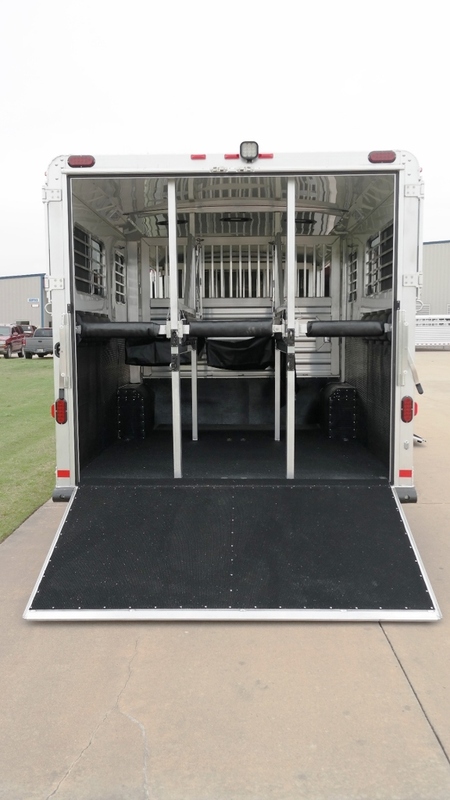 This trailer will allow you to load or unload one horse from any specific location without having to unload other horses. 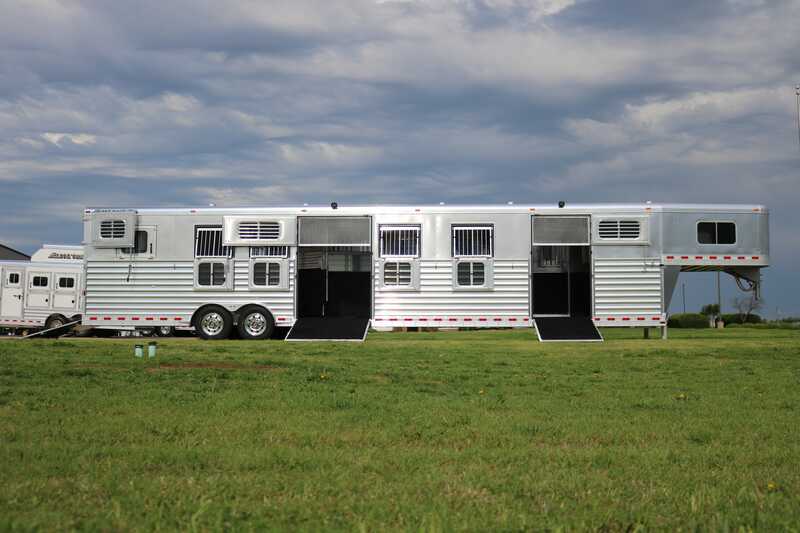 This style of trailer is often converted into three box stalls. 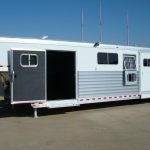 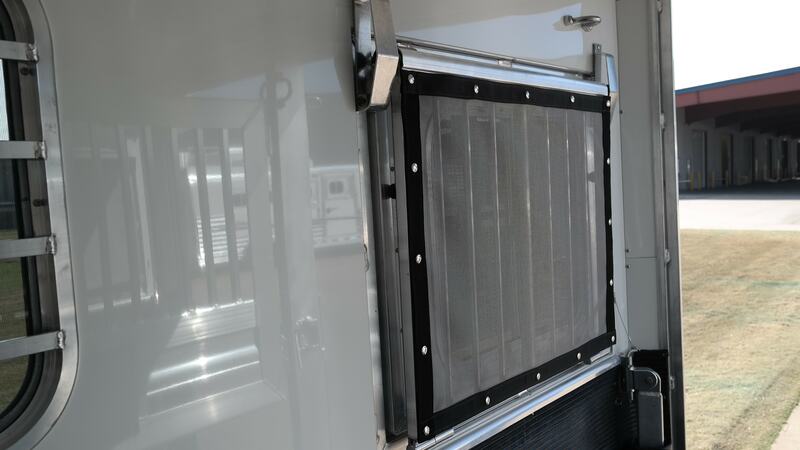 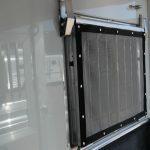 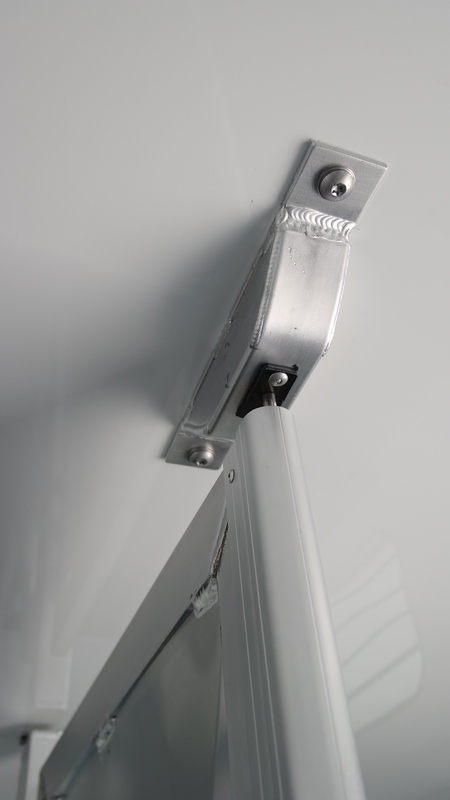 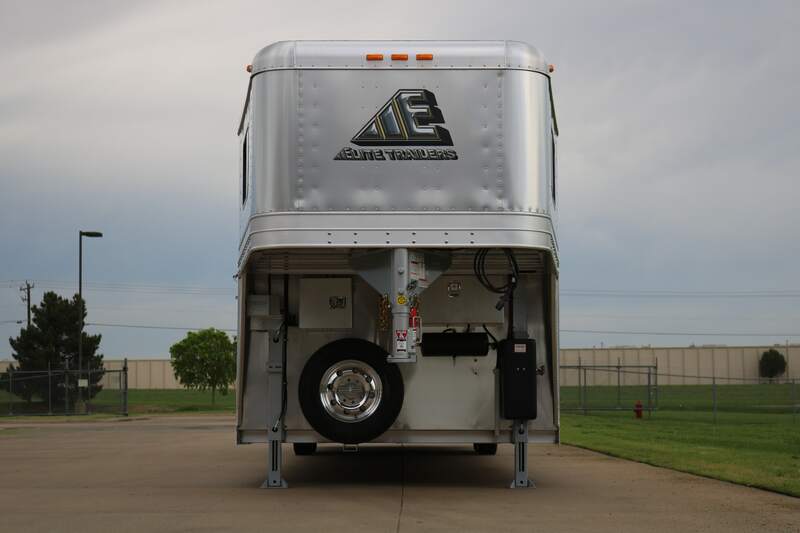 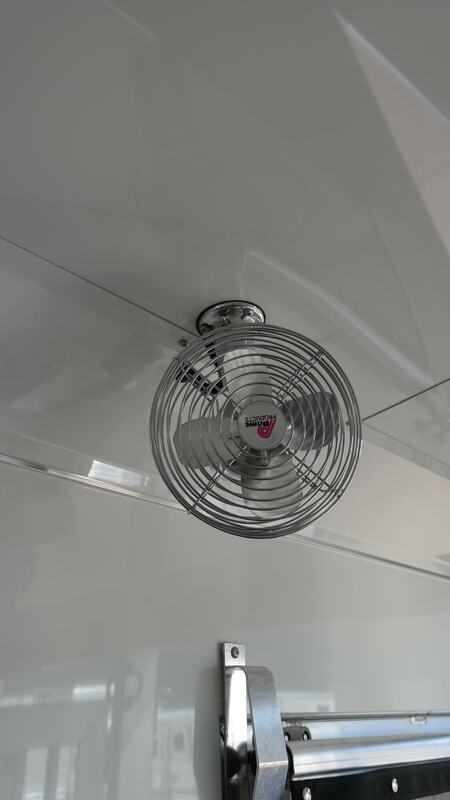 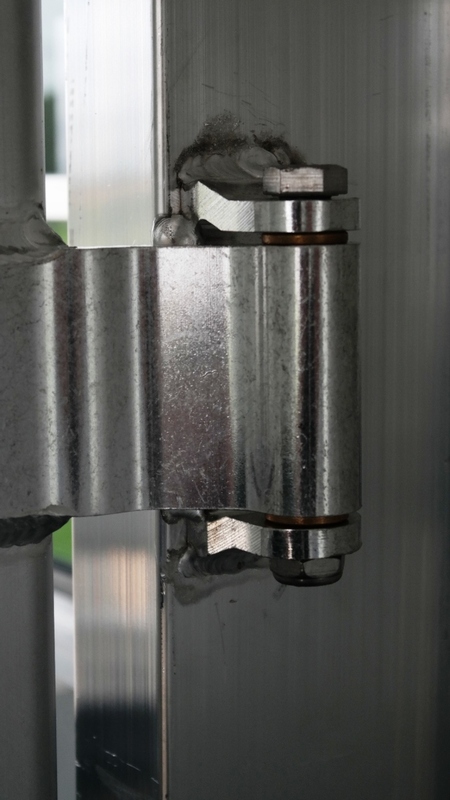 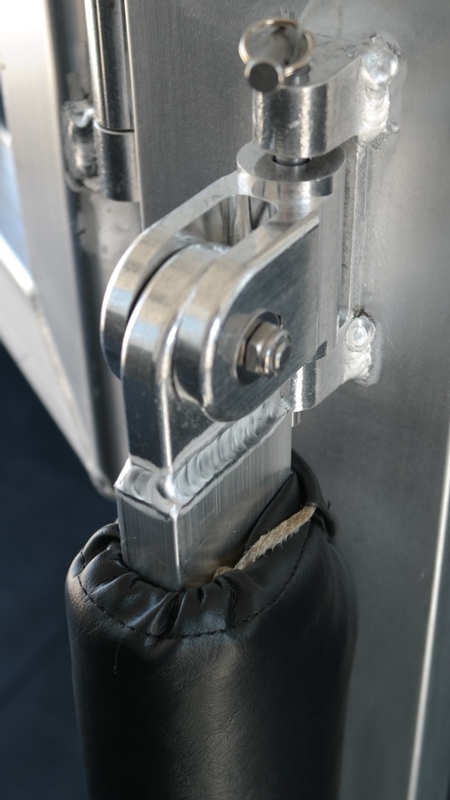 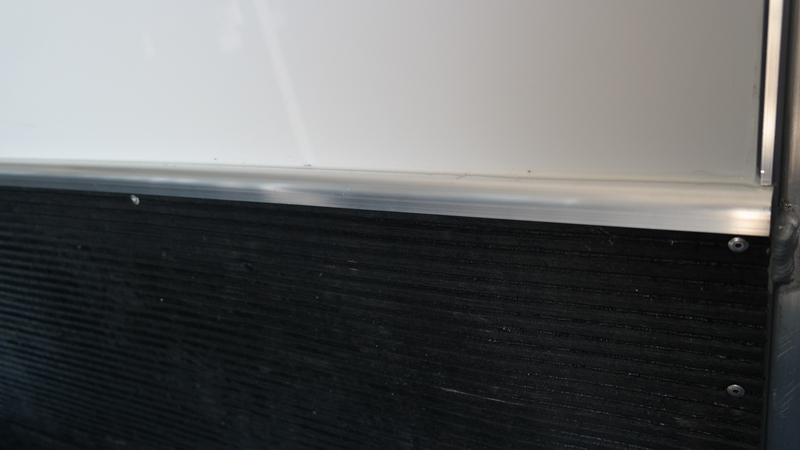 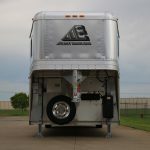 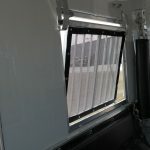 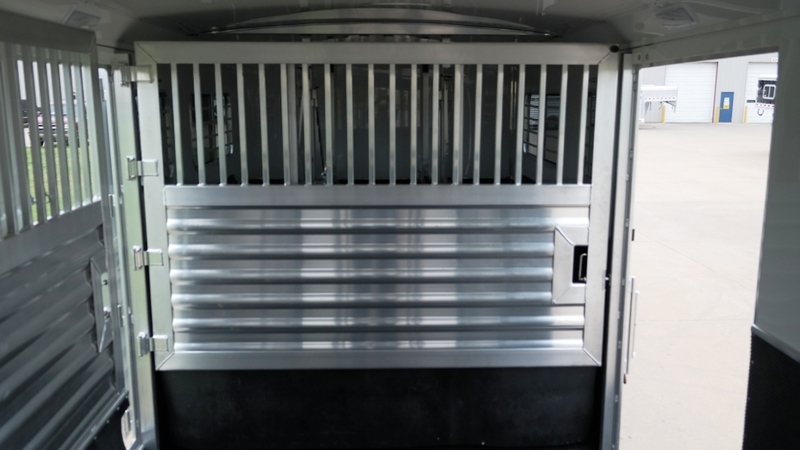 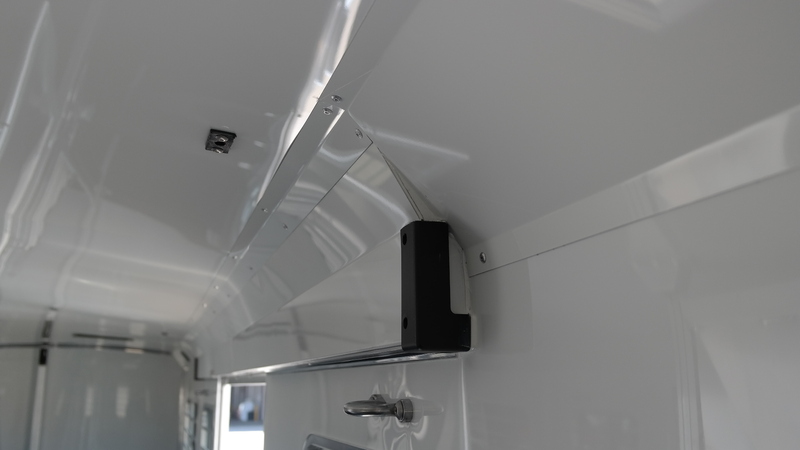 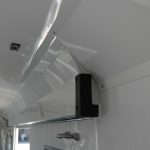 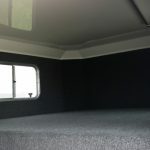 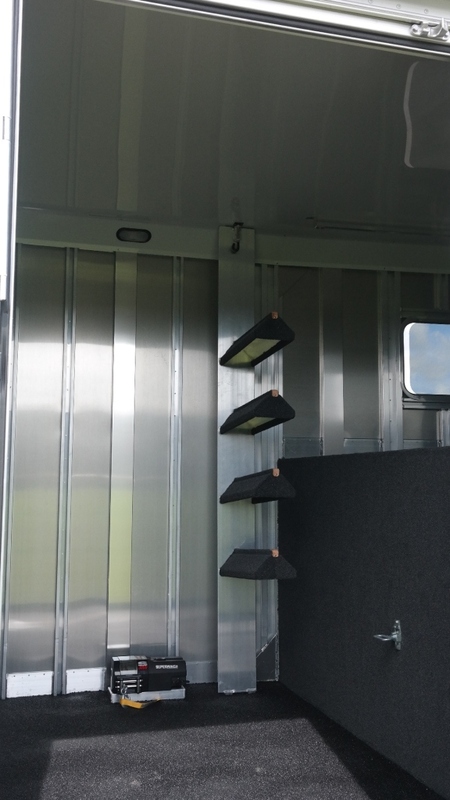 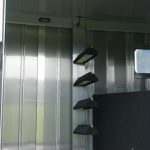 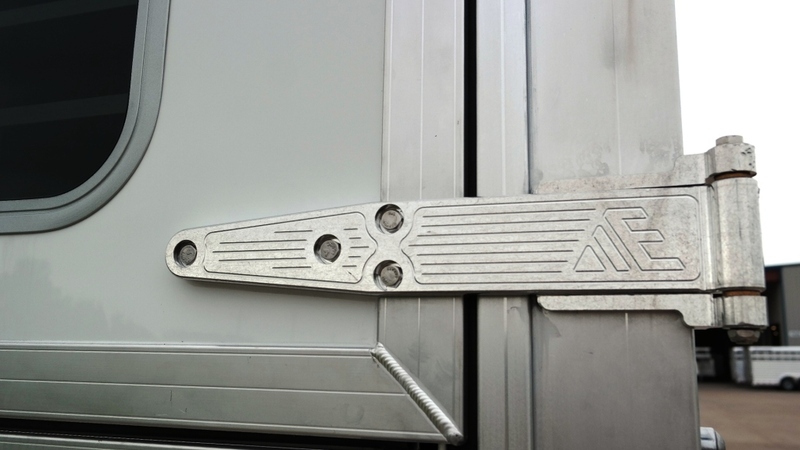 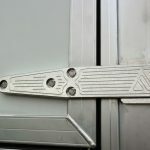 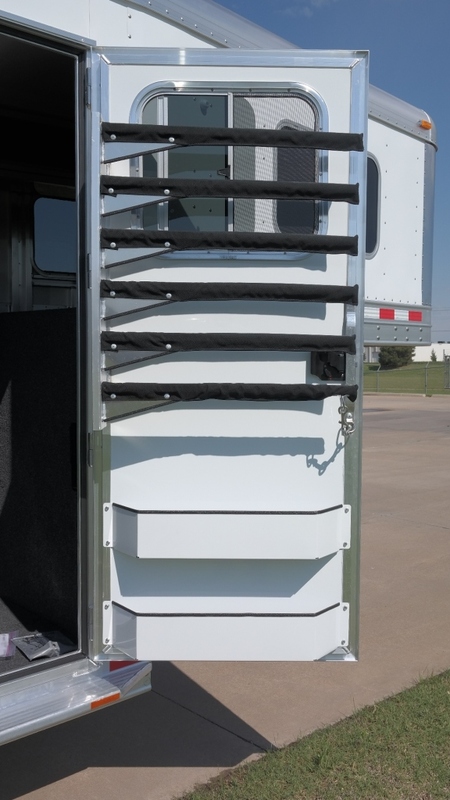 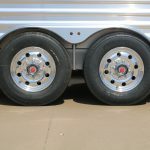 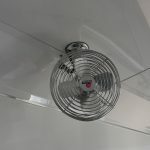 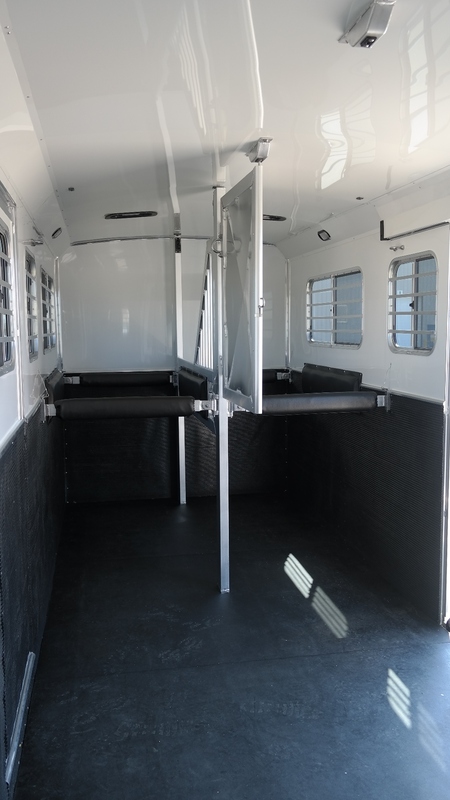 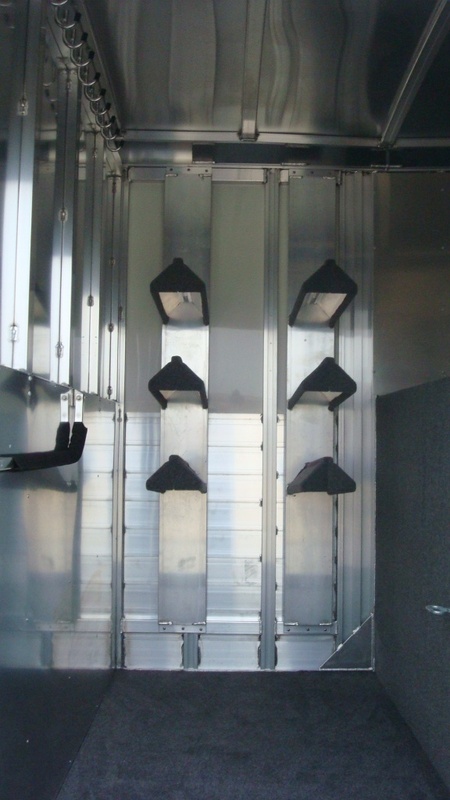 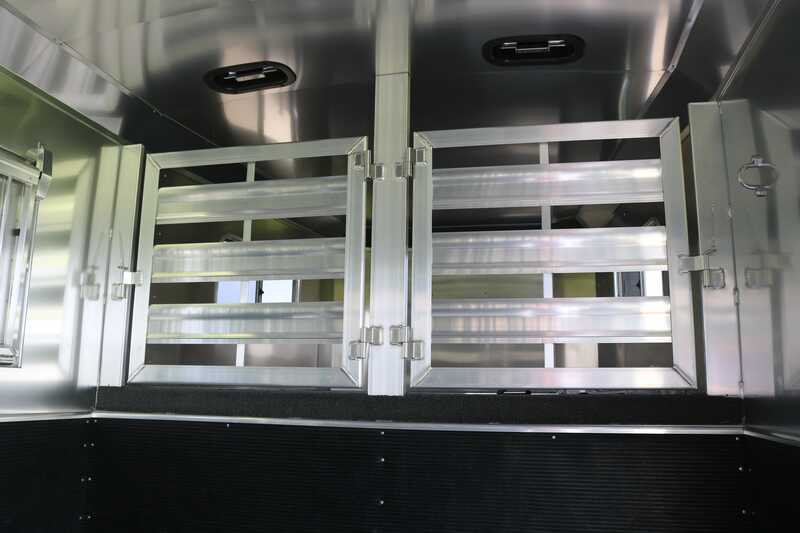 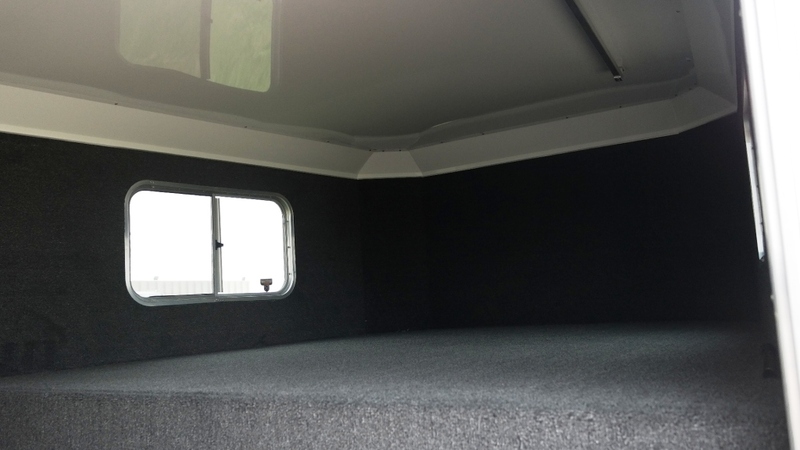 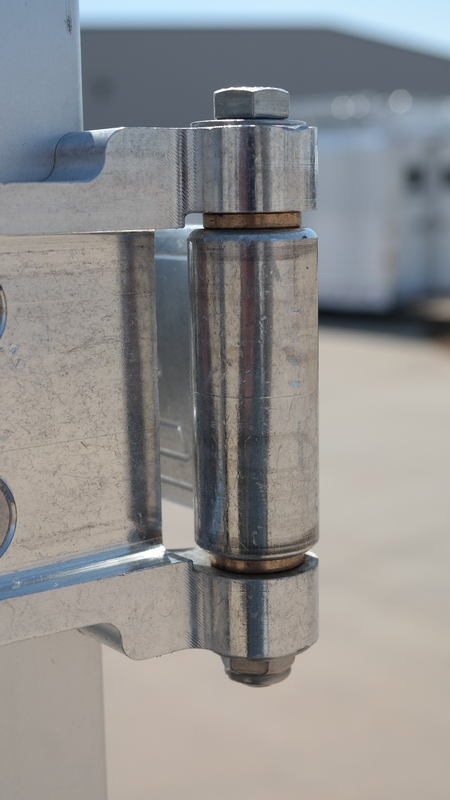 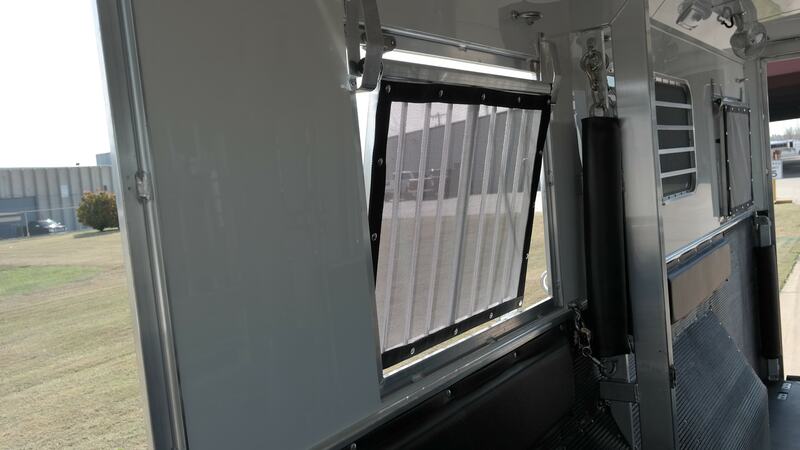 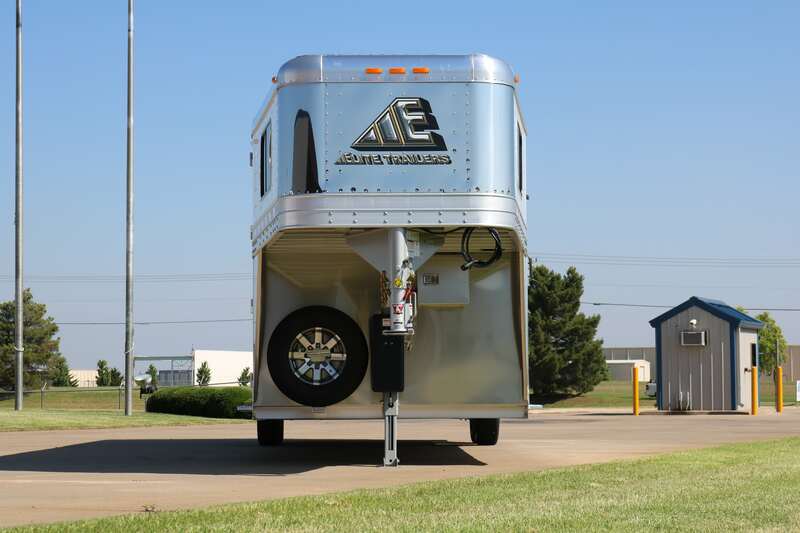 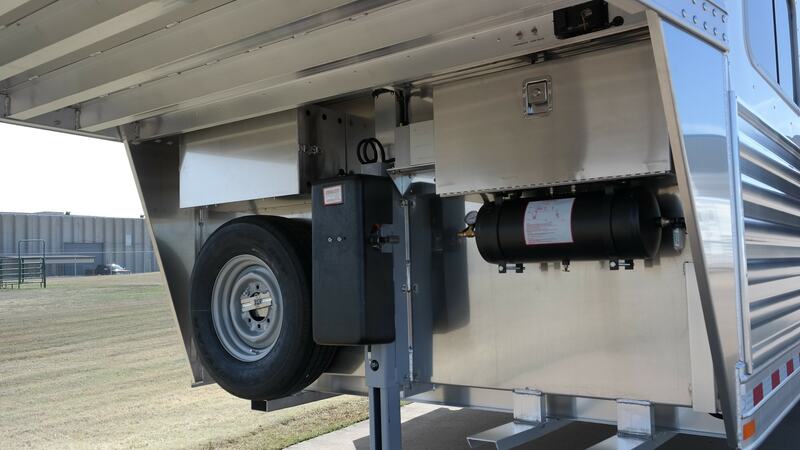 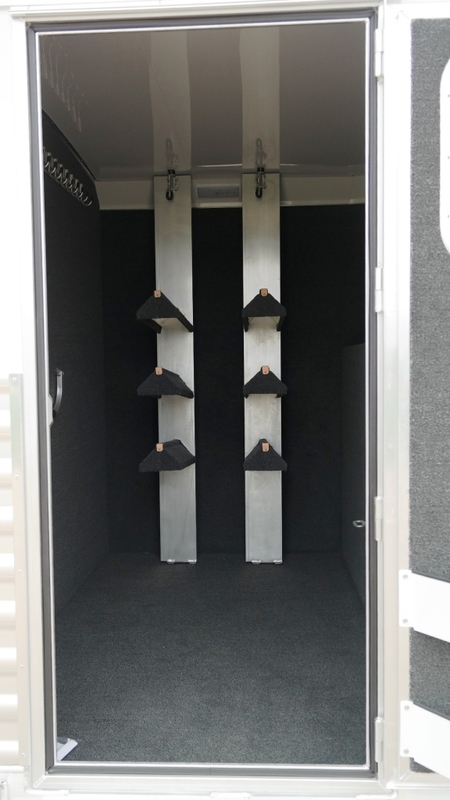 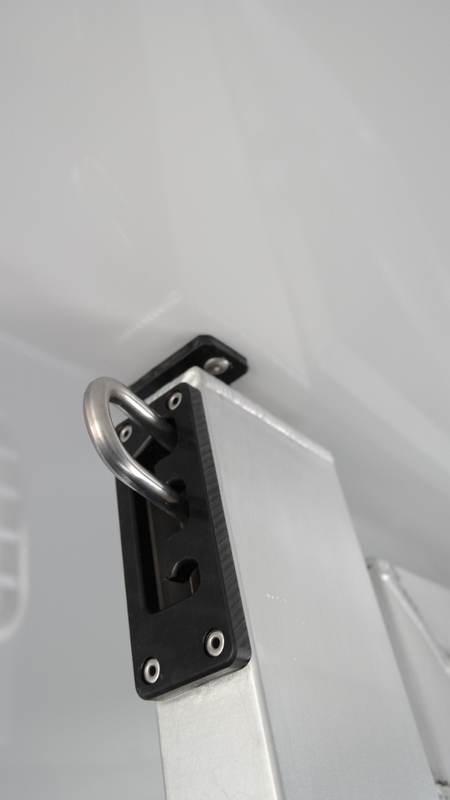 This is one of the most popular designs on the market today for the commercial hauler. 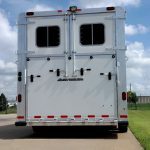 4 Horse Head-to-Head Center Load7'25'7'6"
4 Horse Head-to-Head Center Load with Dress7'29'7'6"
6 Horse Head-to-Head Center Load8'33'7'6"